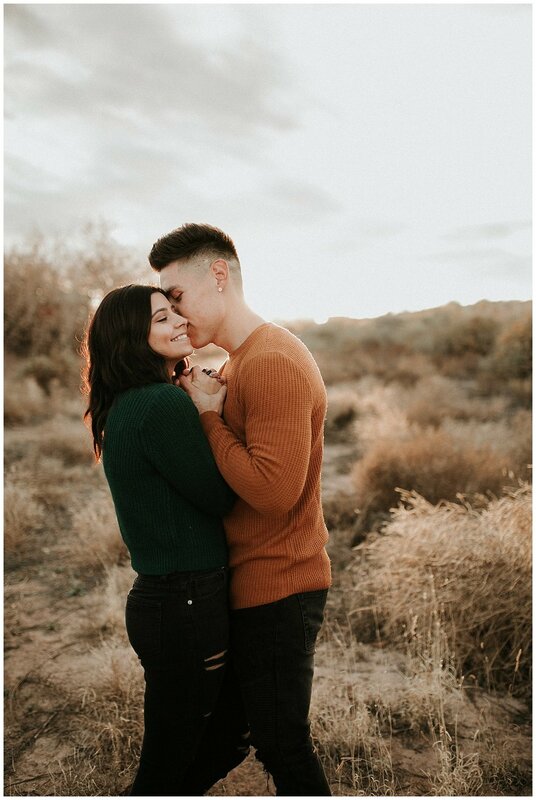 October 28, 2016 Alicia P.
Sam + Catie's engagement session was full of gorgeous fall foliage and lots of sweet, tender moments. 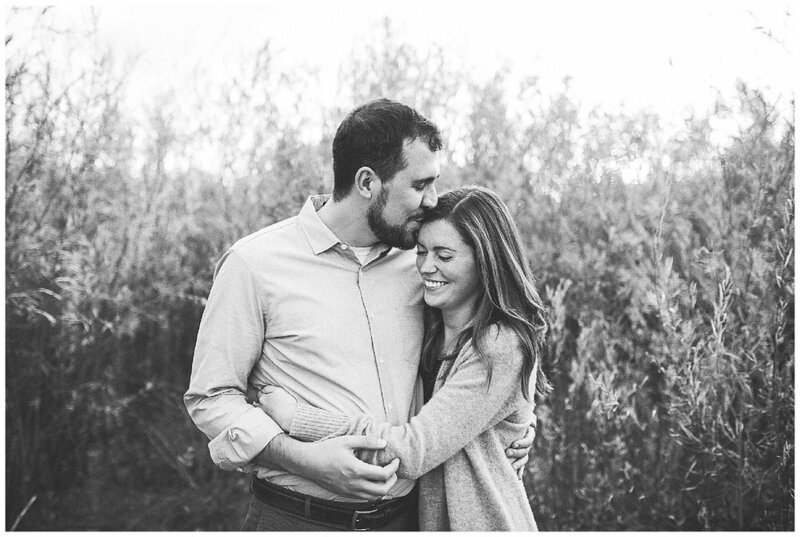 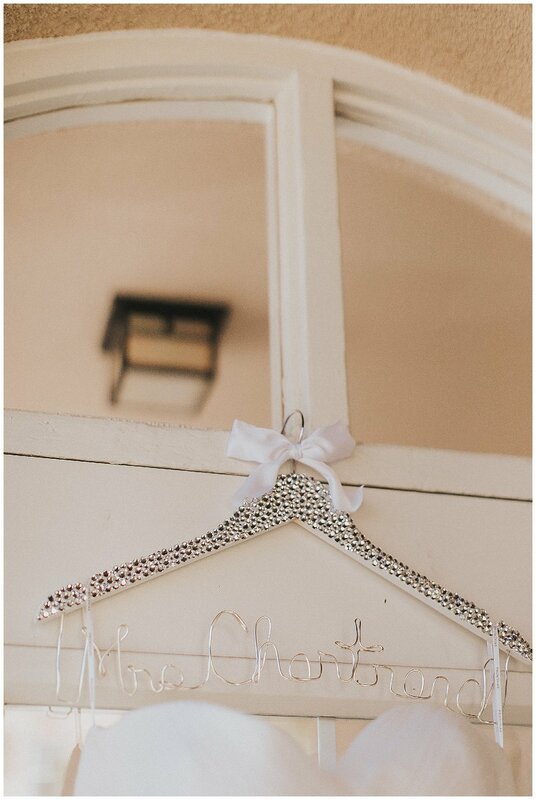 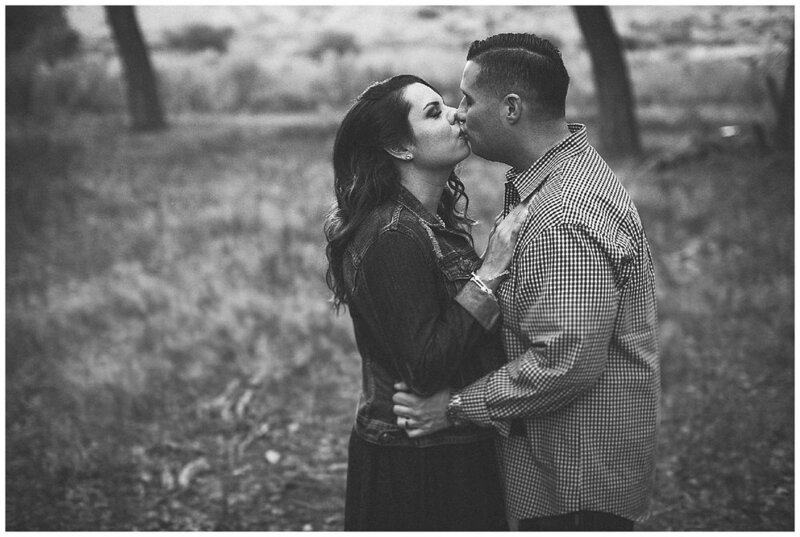 We are excited for their September wedding at Los Poblanos! 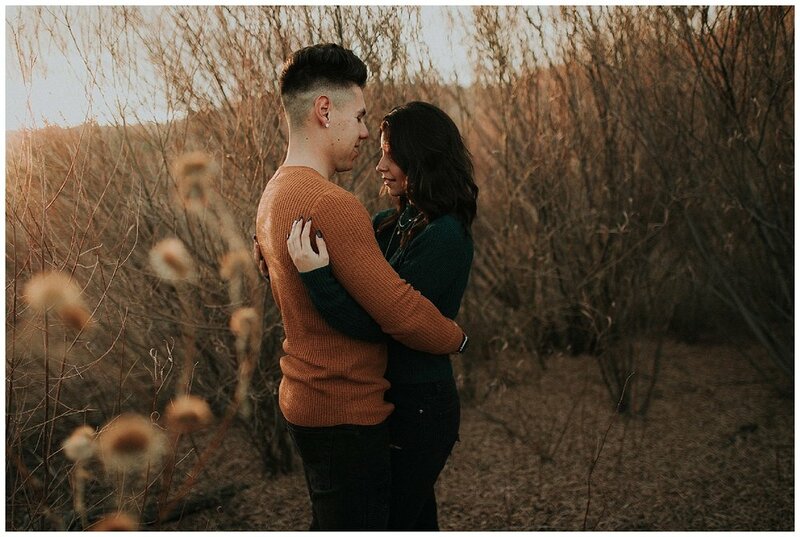 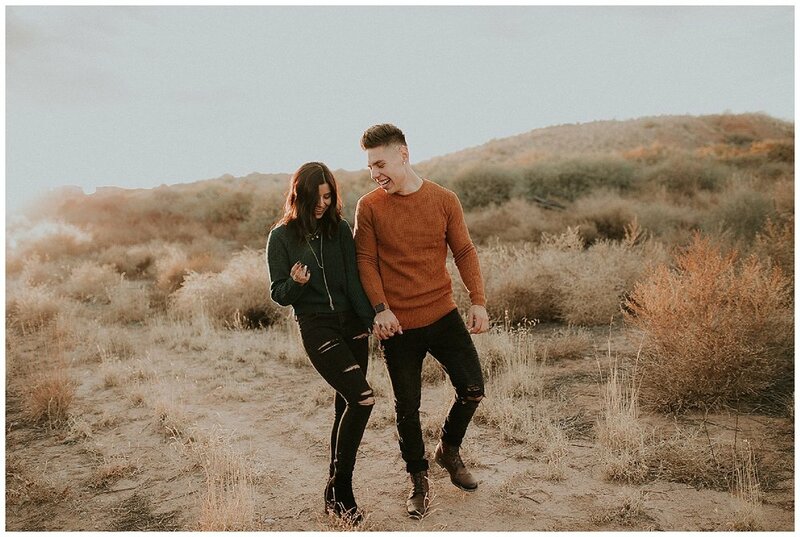 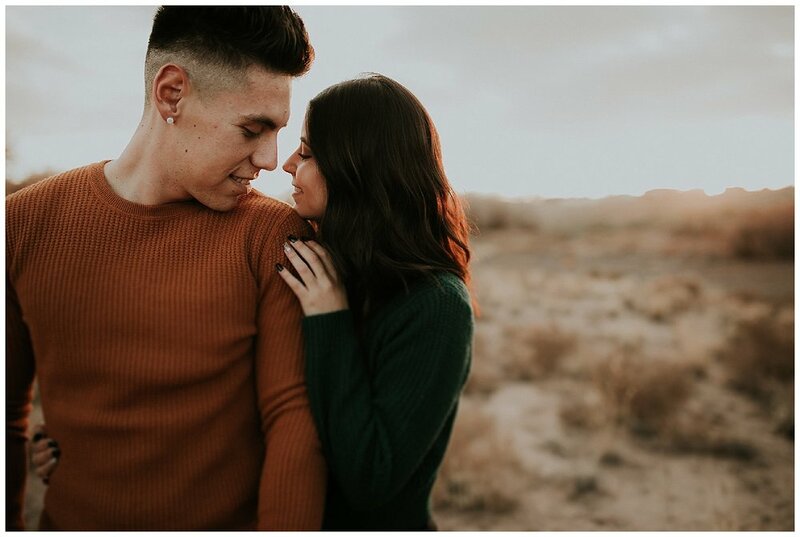 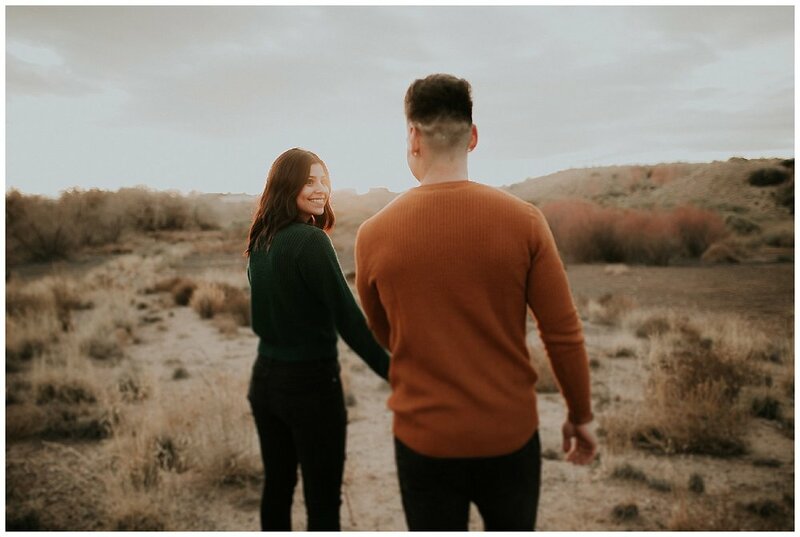 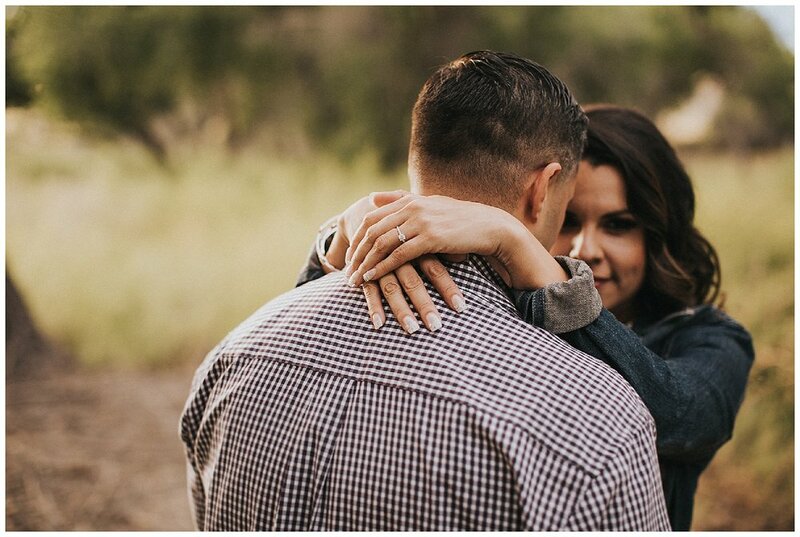 We had an amazing time meeting Gabrielle and her fiancé Al for a super romantic engagement session in Grants, New Mexico. 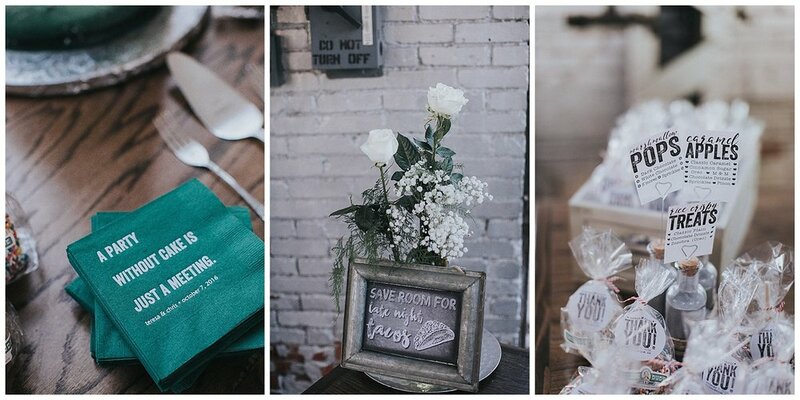 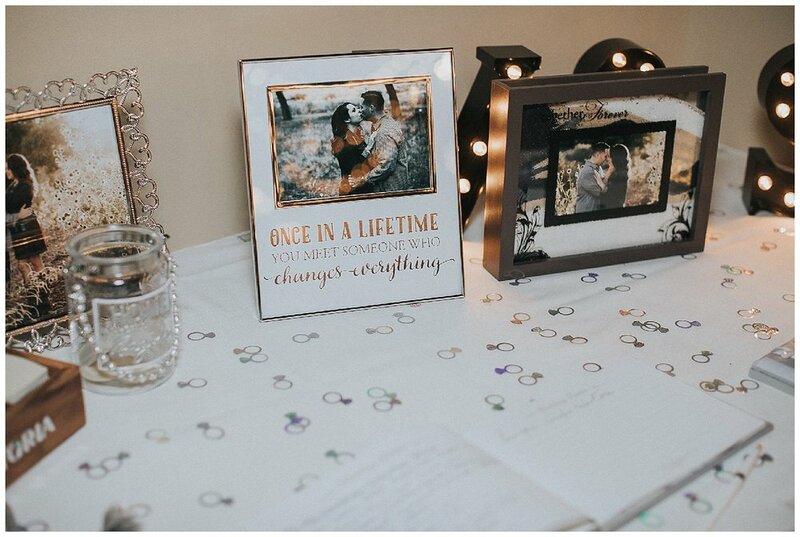 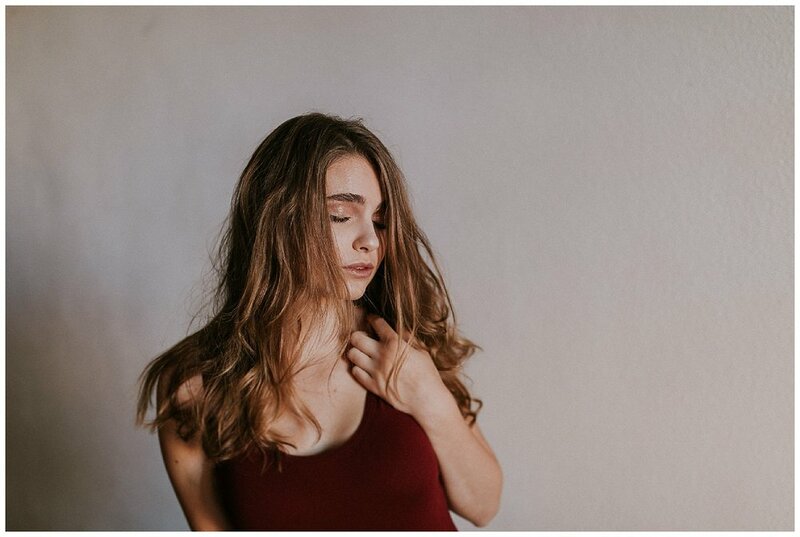 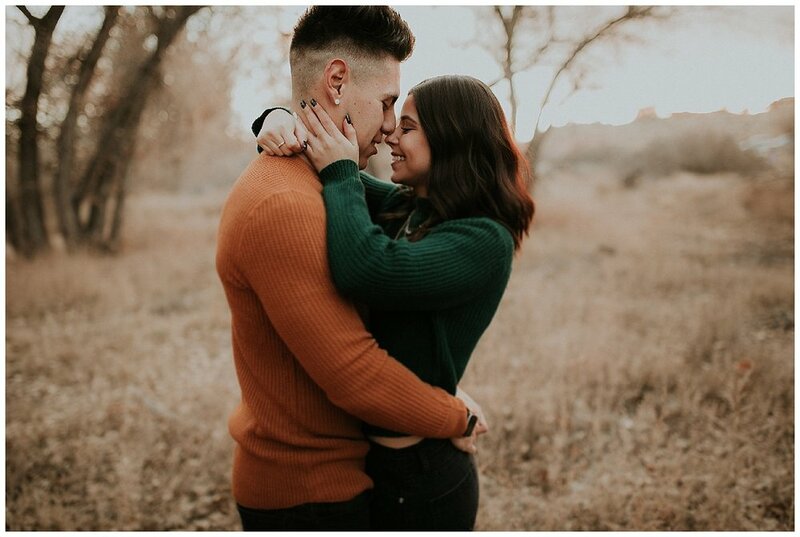 Al is in the Air Force and is currently stationed at Kirtland Air Force Base and Gabby, who still lives in New Jersey, wanted to plan the perfect shoot while she visited him (she even made the amazing signs!). 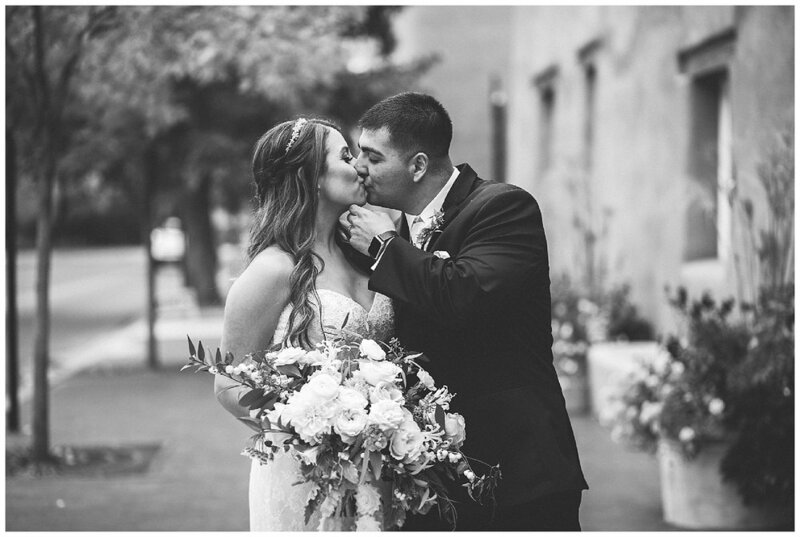 Honestly we're still swooning over this breathtaking couple! 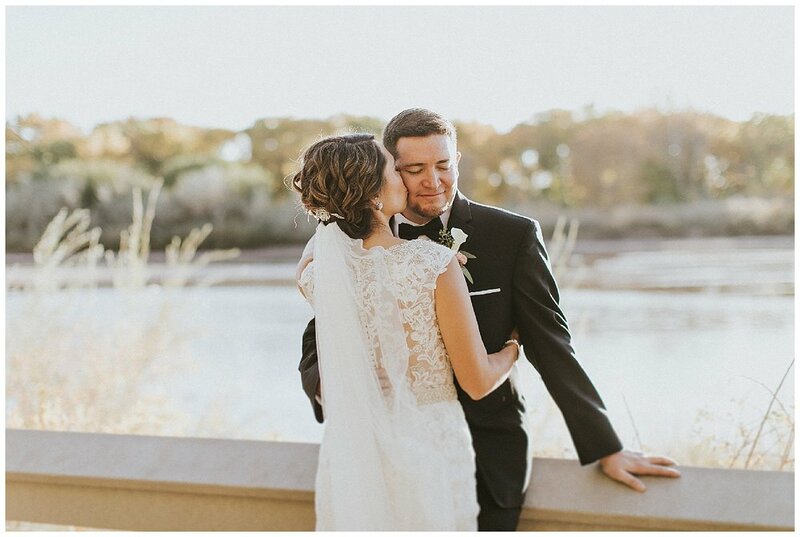 We shared a very special, crisp fall day with Joe + Melissa for their simple, yet elegant fall wedding. 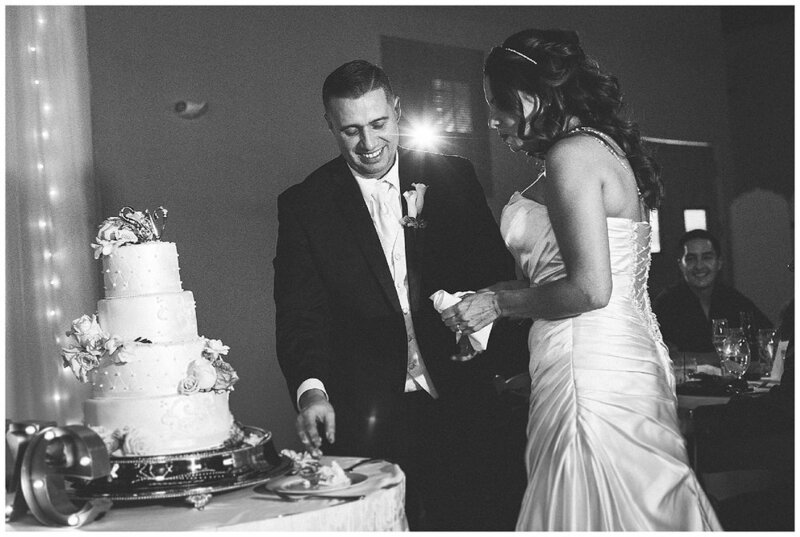 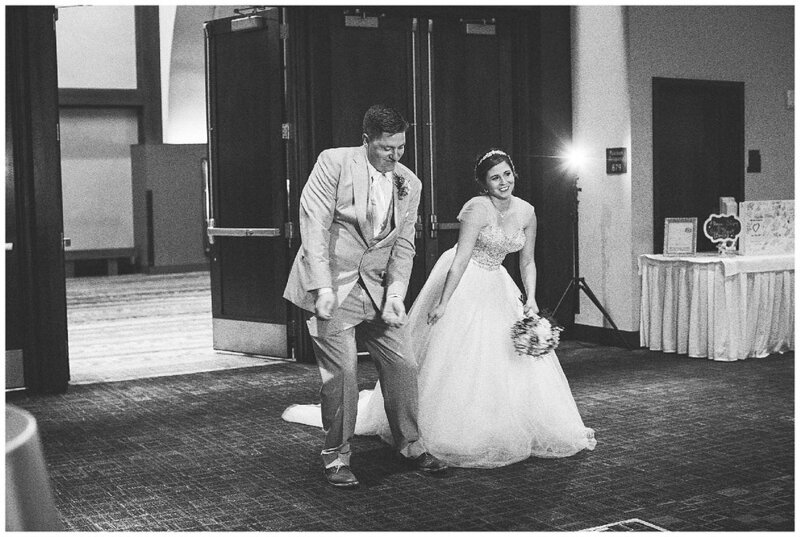 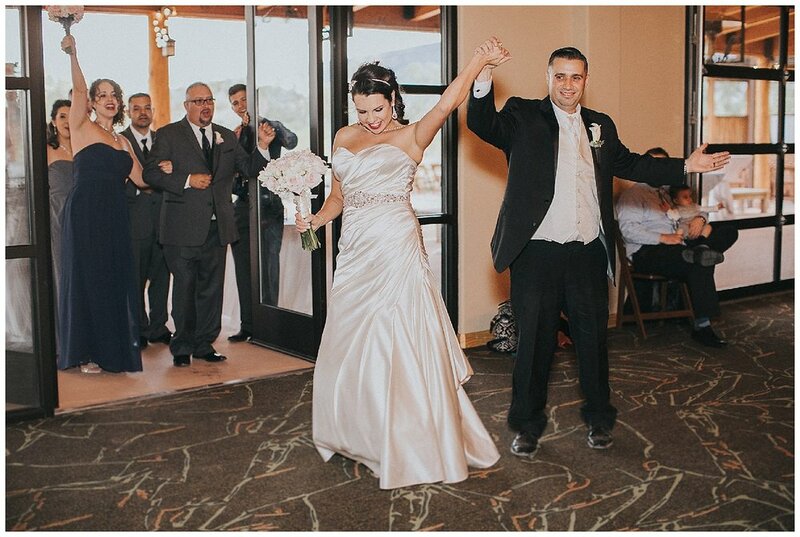 They were married at the UNM Memorial Chapel and celebrated with a reception at Embassy Suites. 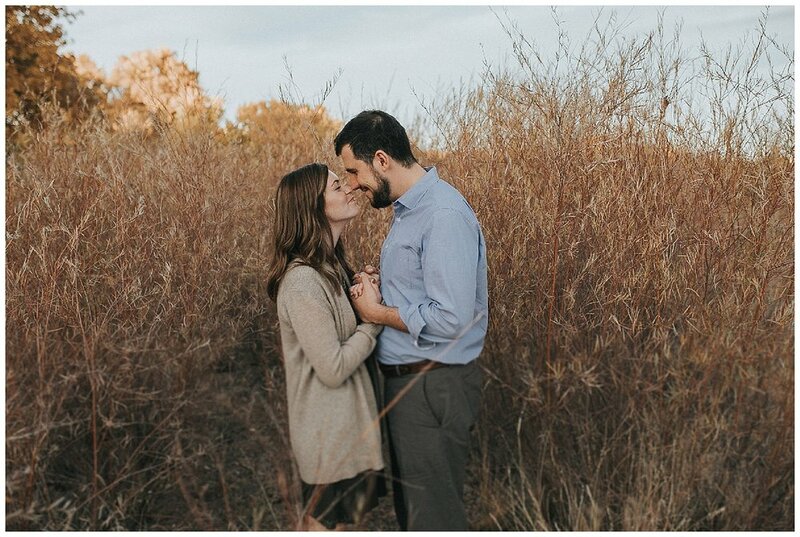 We had so much fun wandering through the gorgeous fall wilderness with these two. 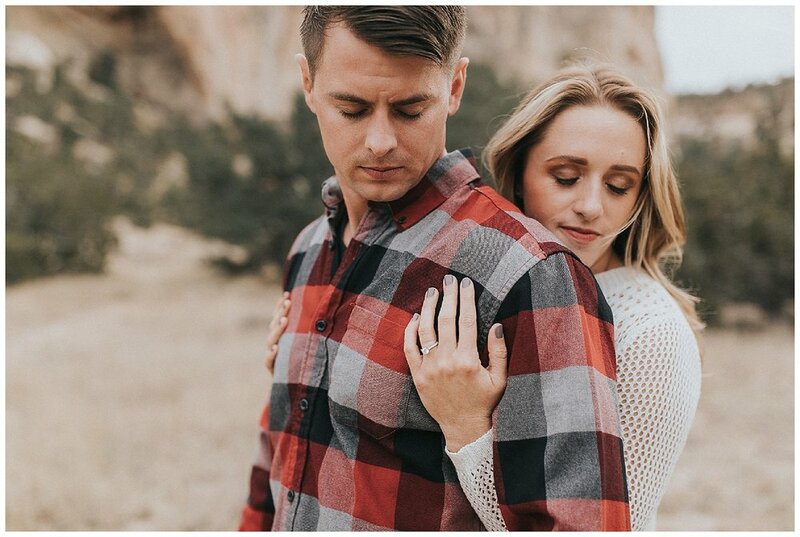 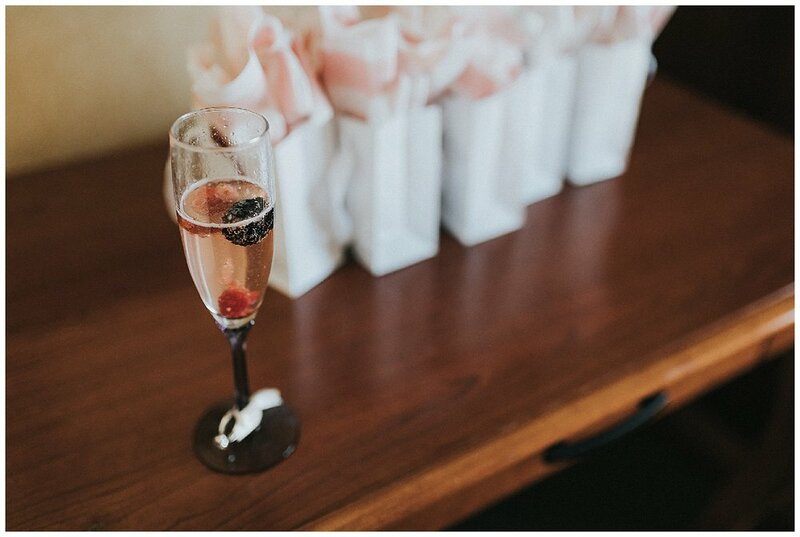 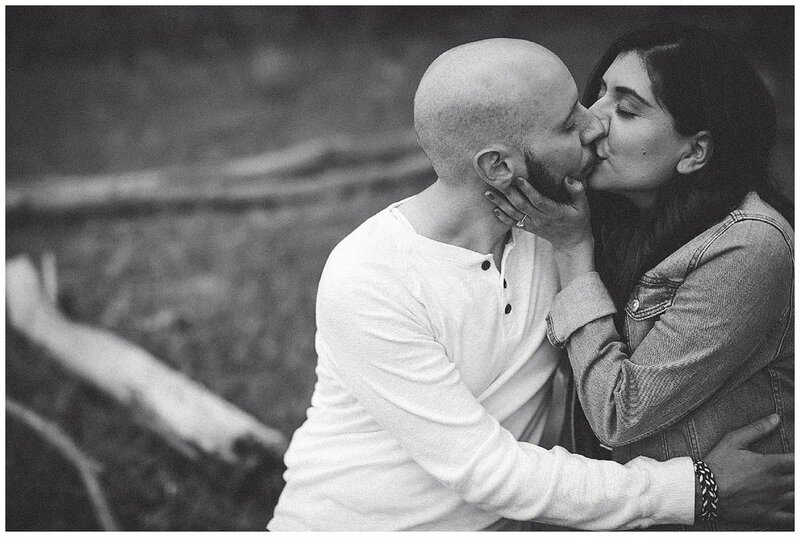 We can't wait for their summertime wedding in Angel Fire! 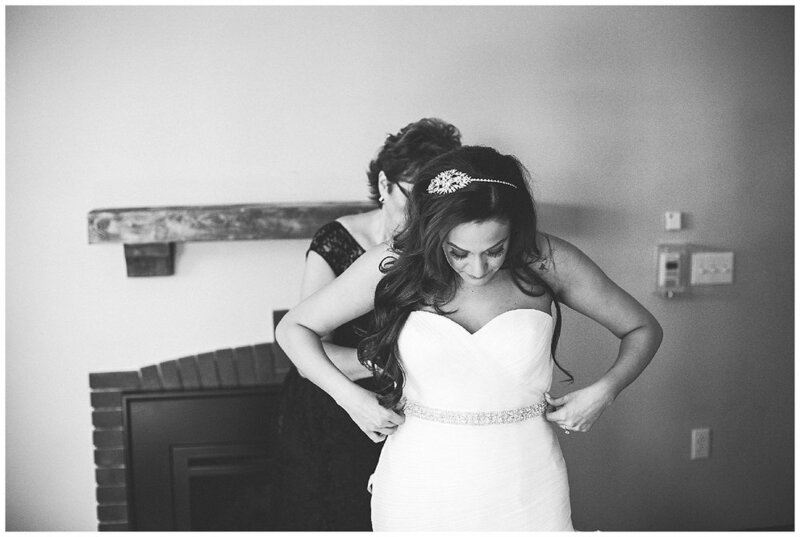 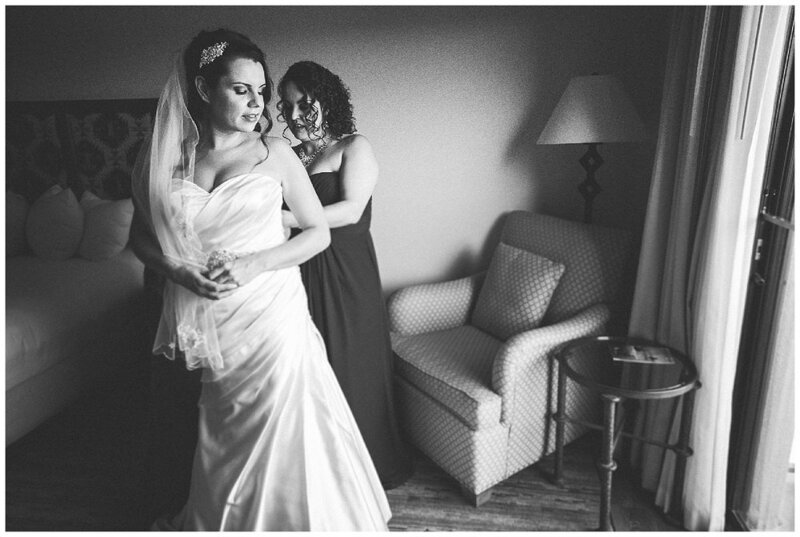 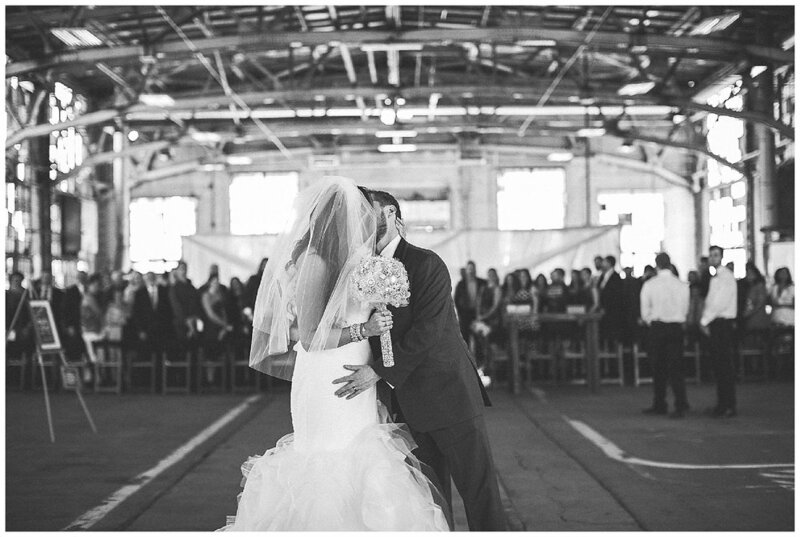 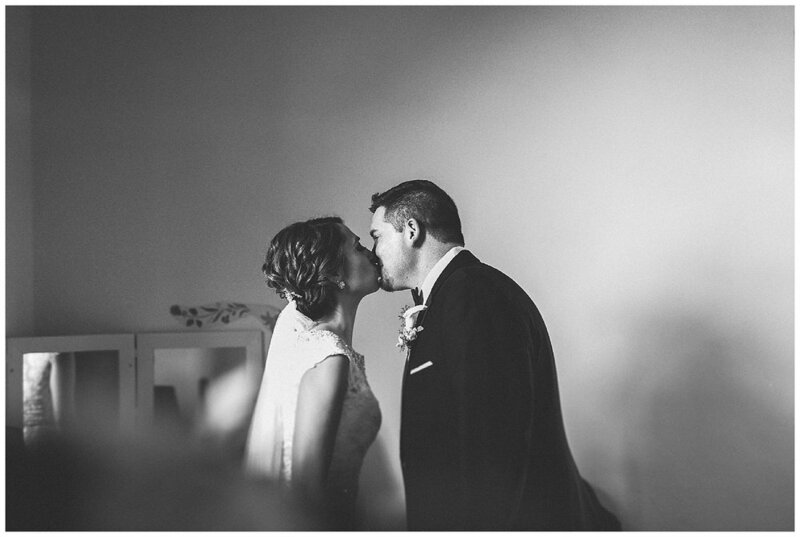 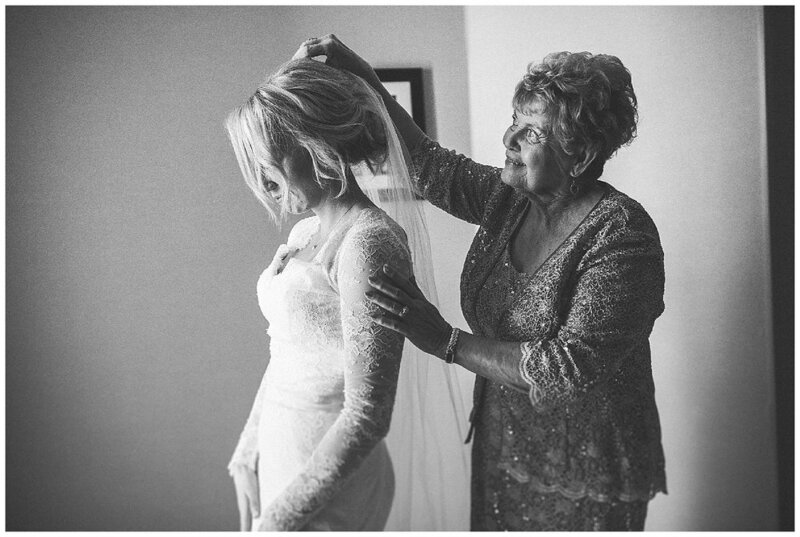 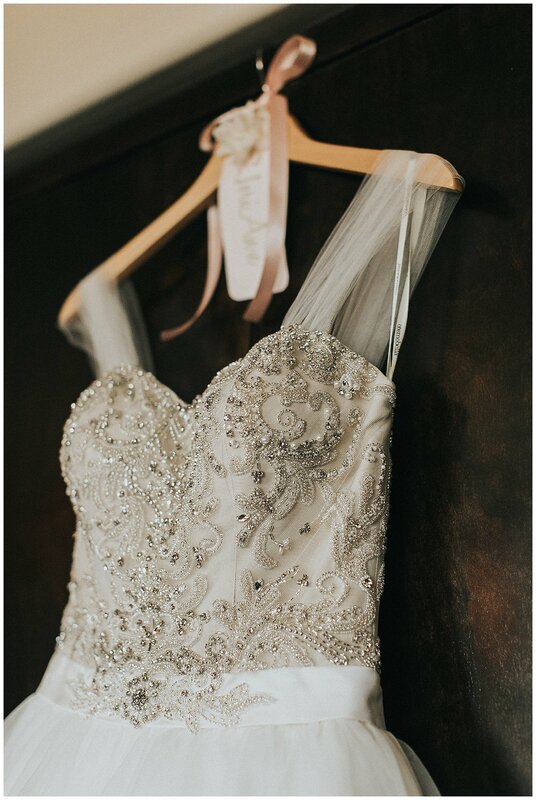 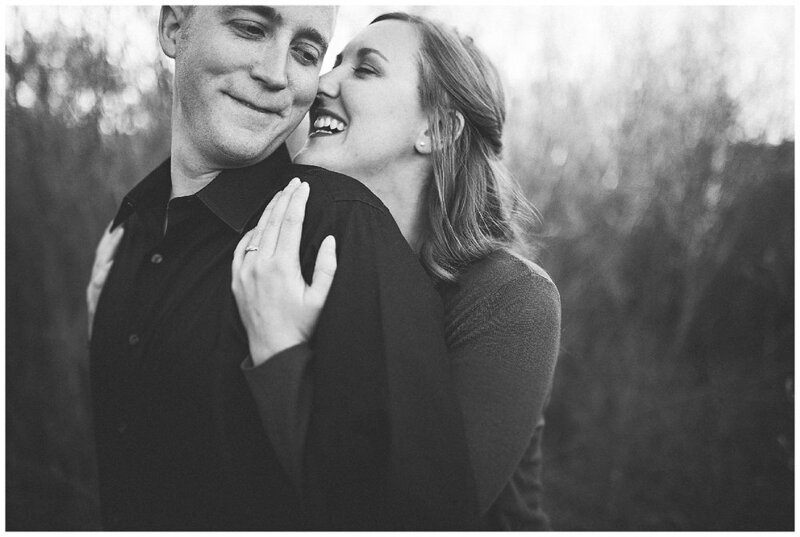 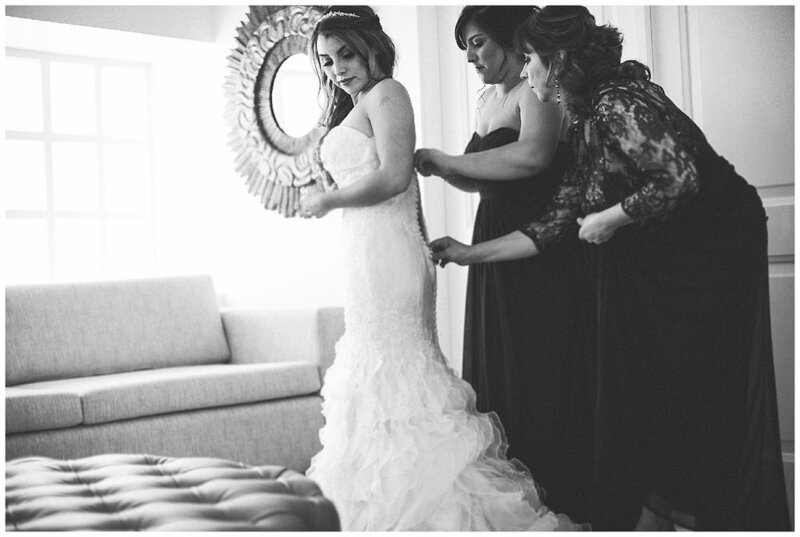 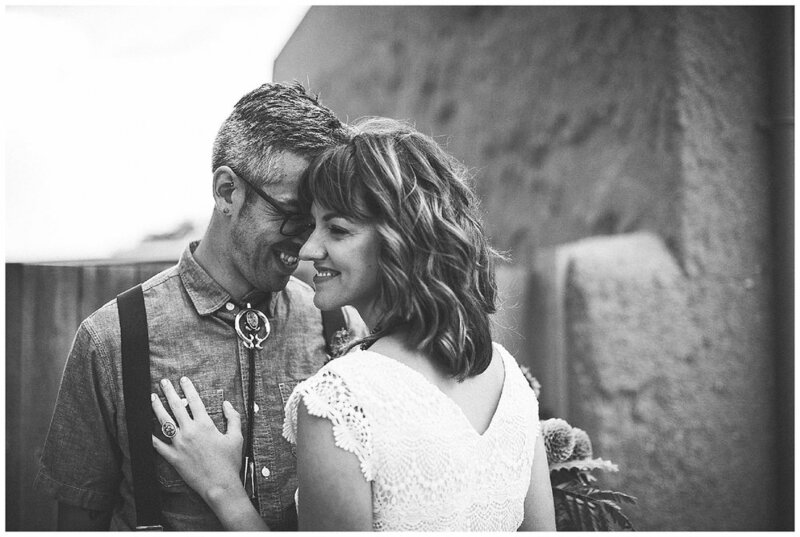 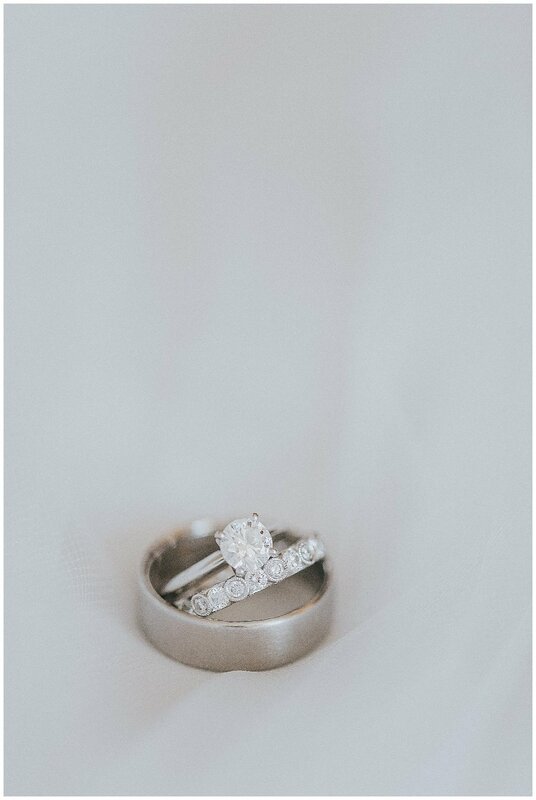 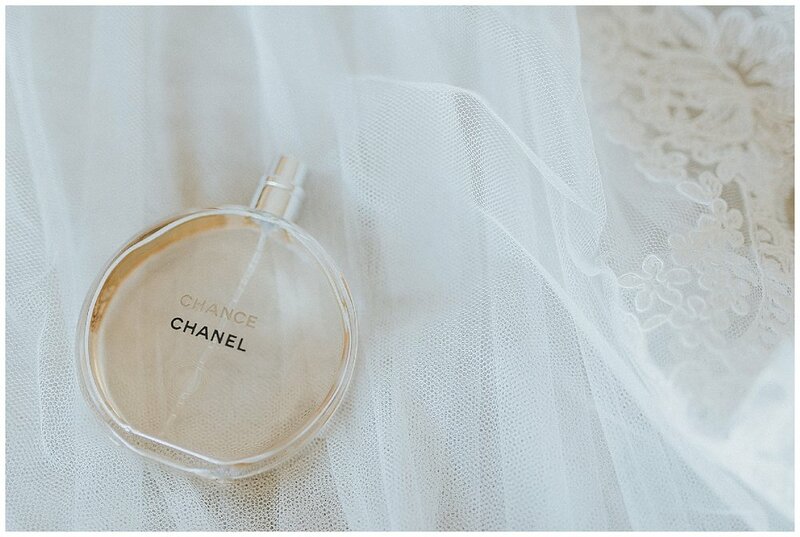 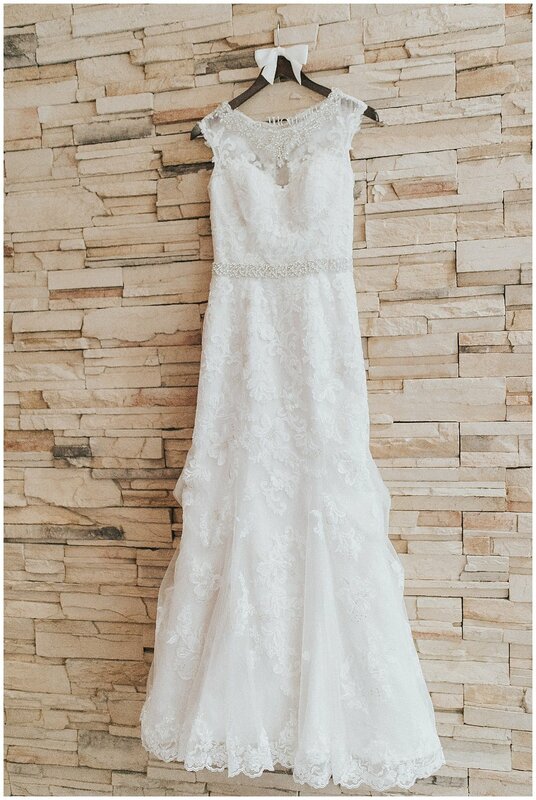 Chris + Andrea were married in the ever amazing Santa Fe, New Mexico this past fall. 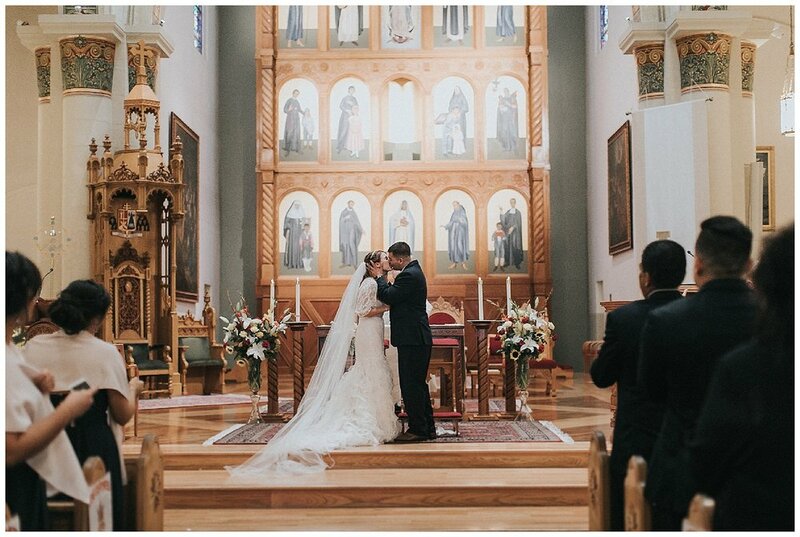 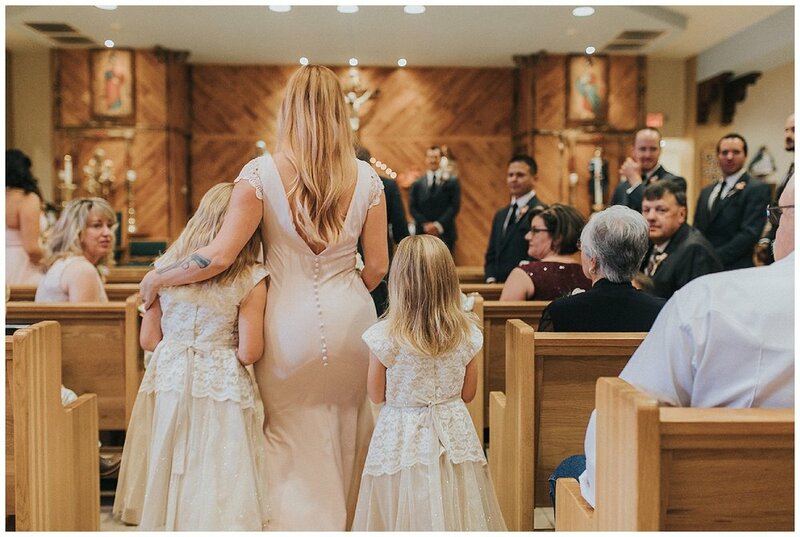 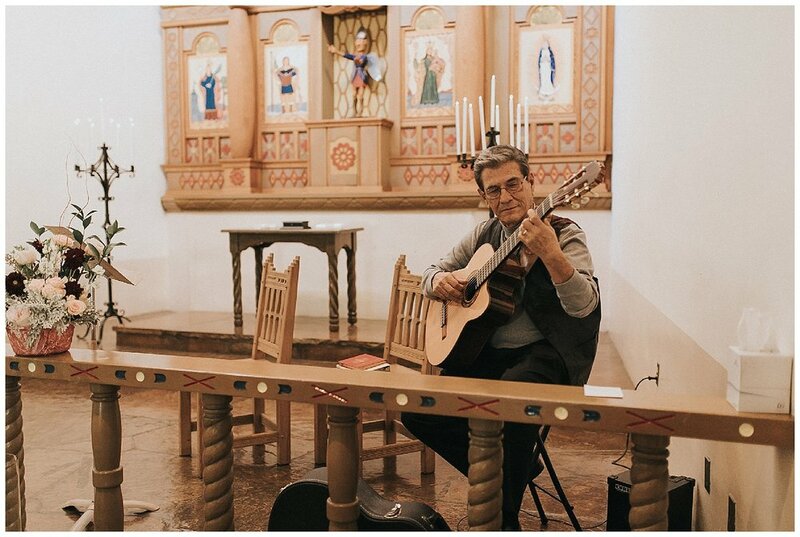 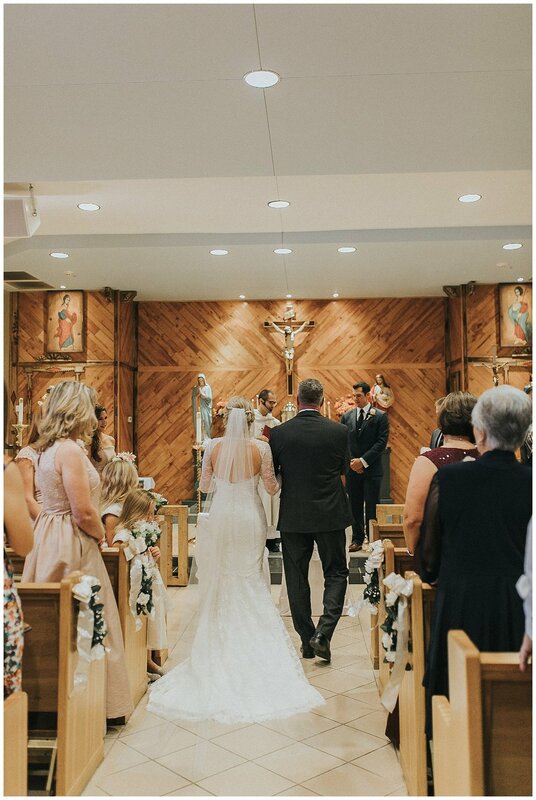 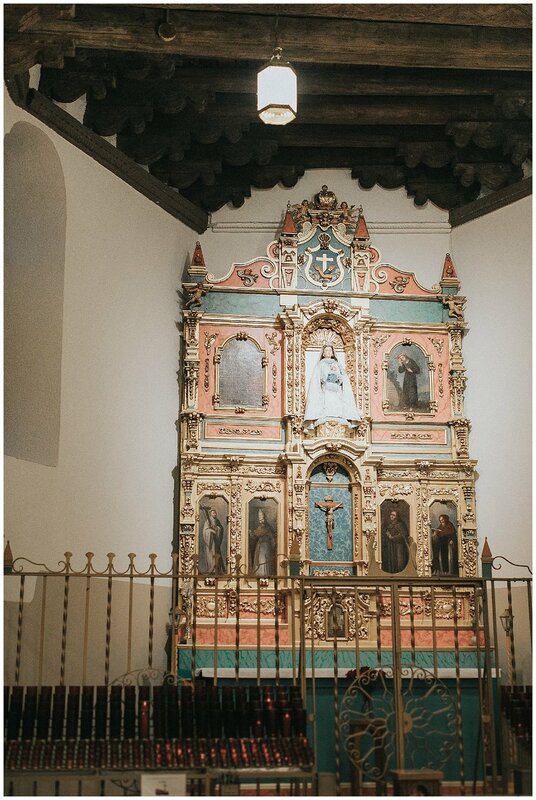 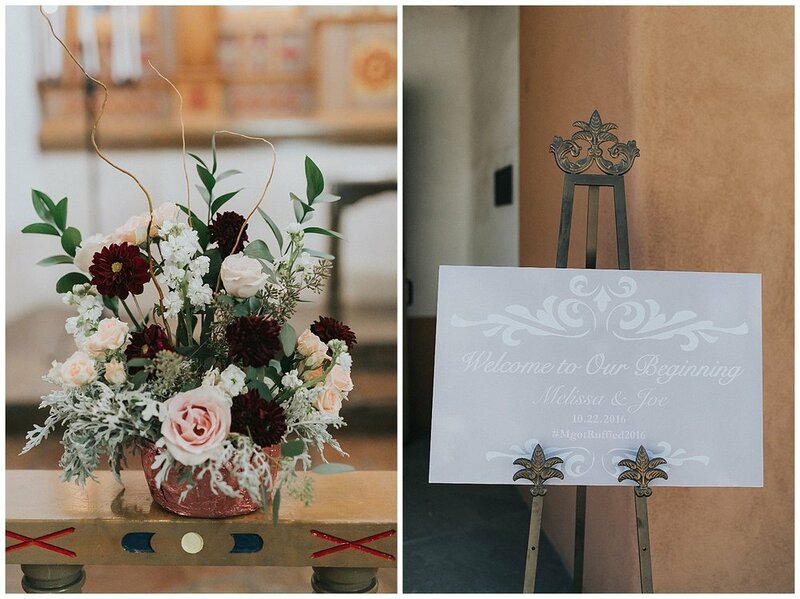 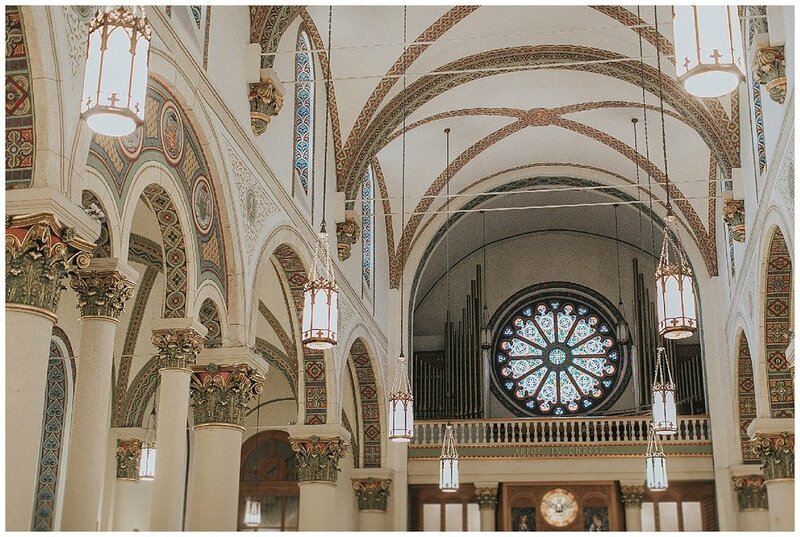 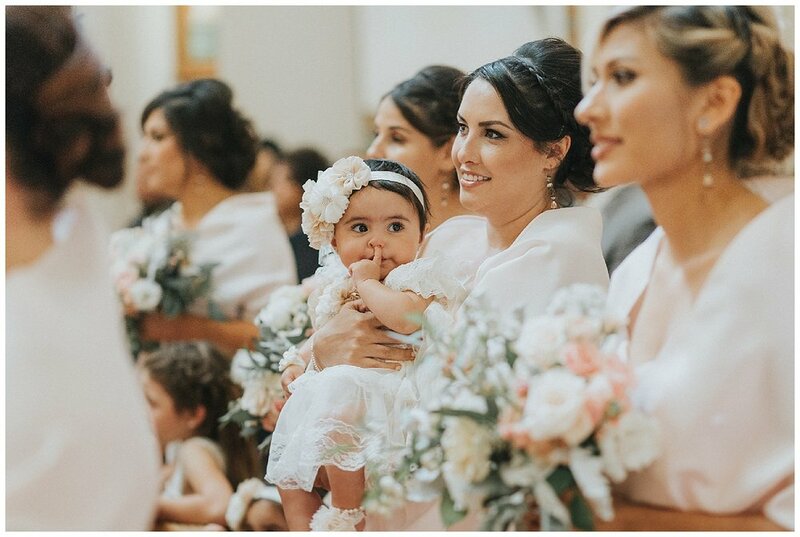 They had a traditional church ceremony at the Cathedral Basilica of Saint Francis of Assisi followed by a HUGE party at the Eldorado Hotel in the heart of the Santa Fe Plaza. 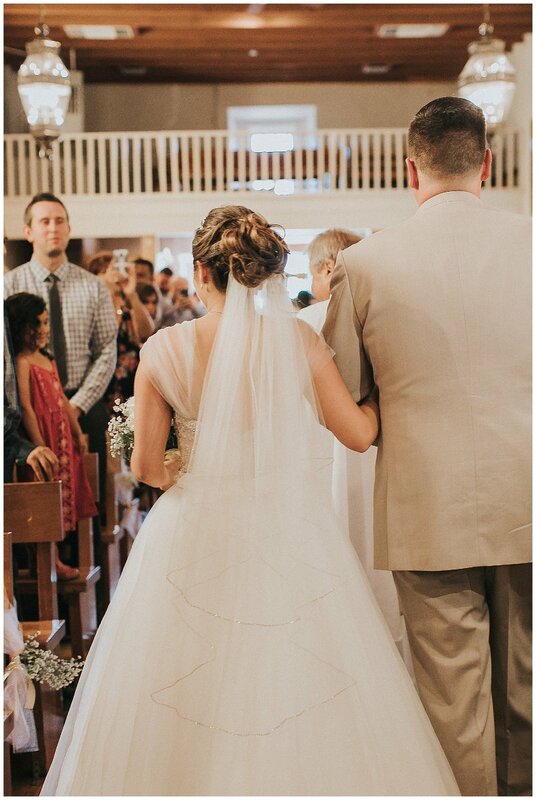 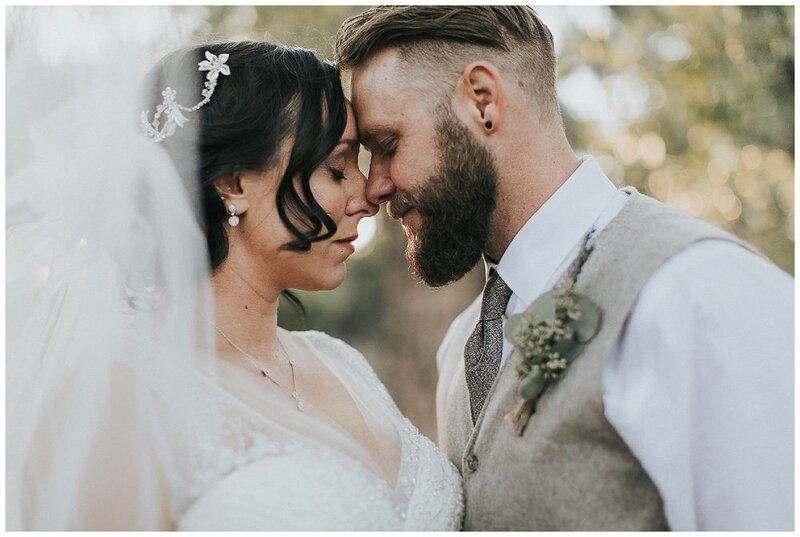 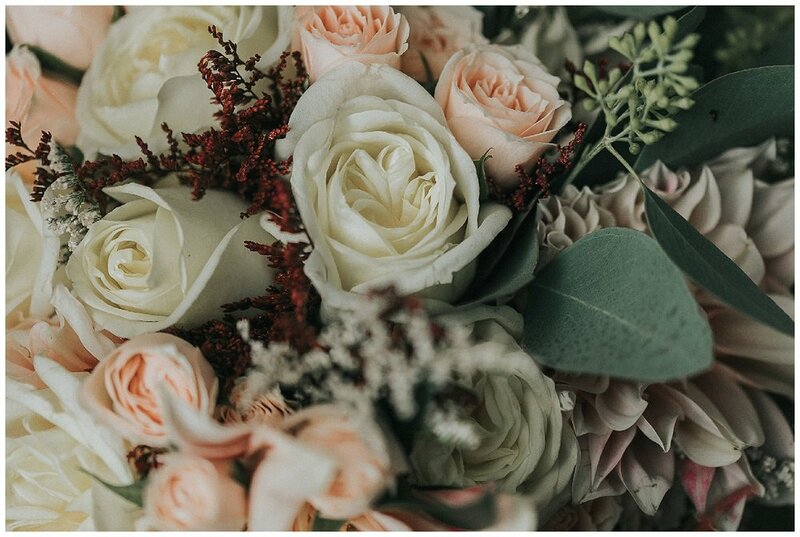 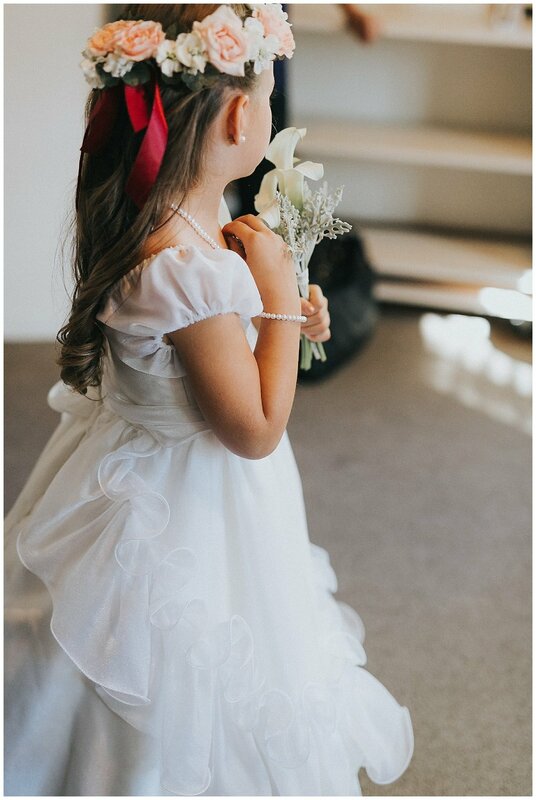 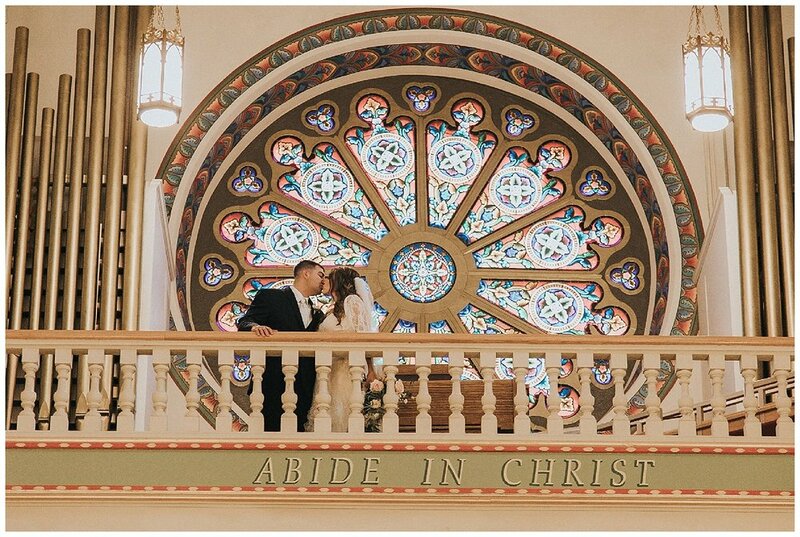 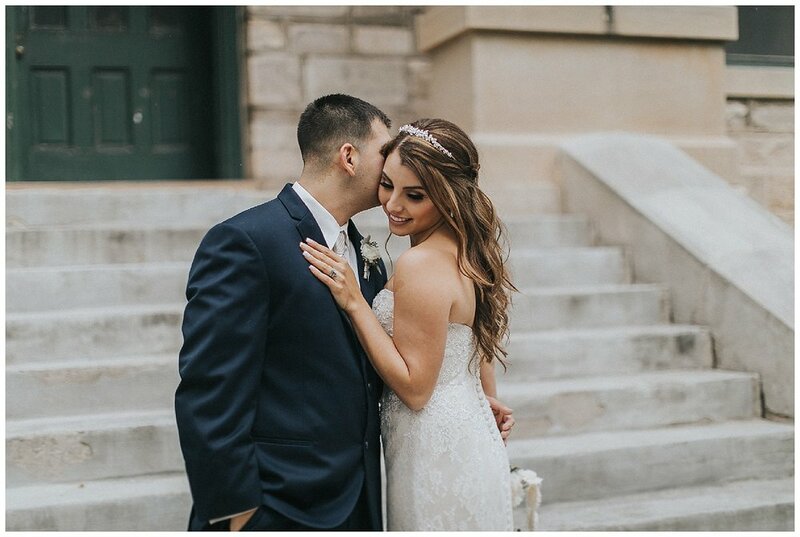 Videography: Avista Video Histories Inc.
Garrett and JerriAnn married in early October with a rose-gold inspired wedding. 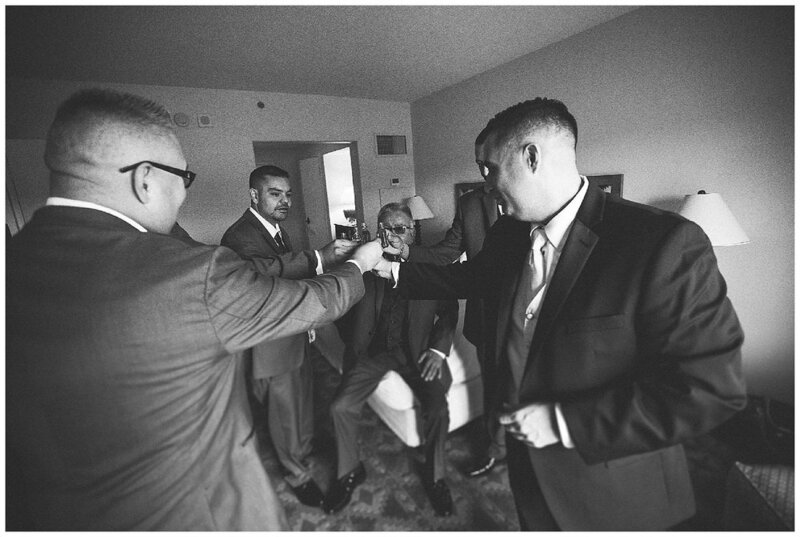 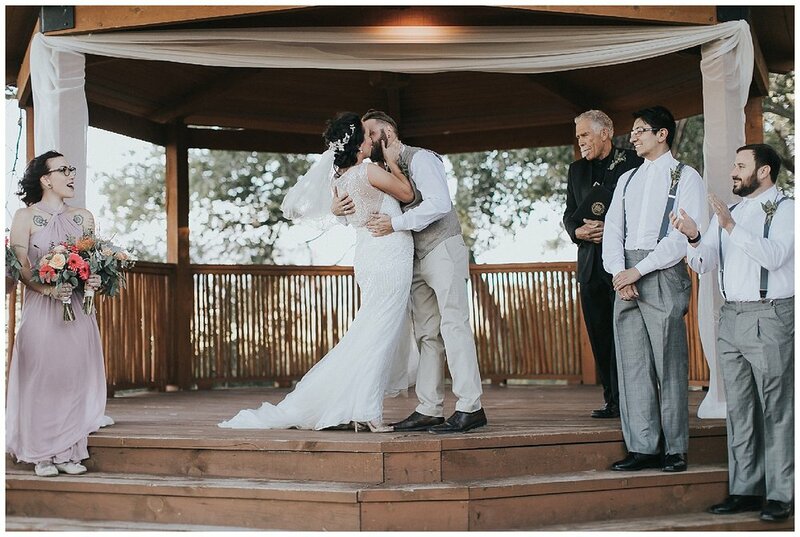 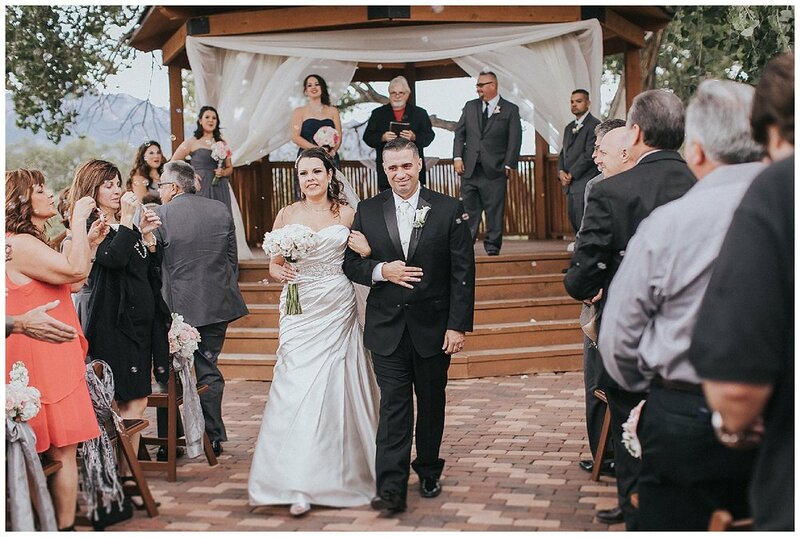 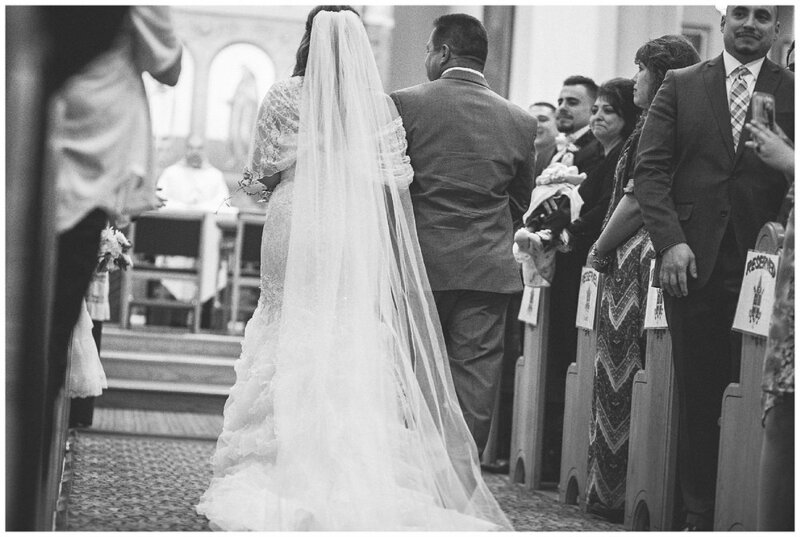 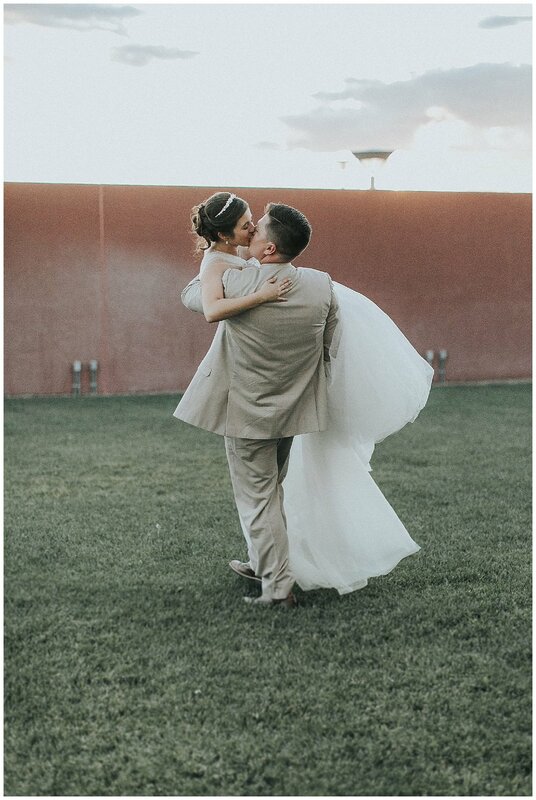 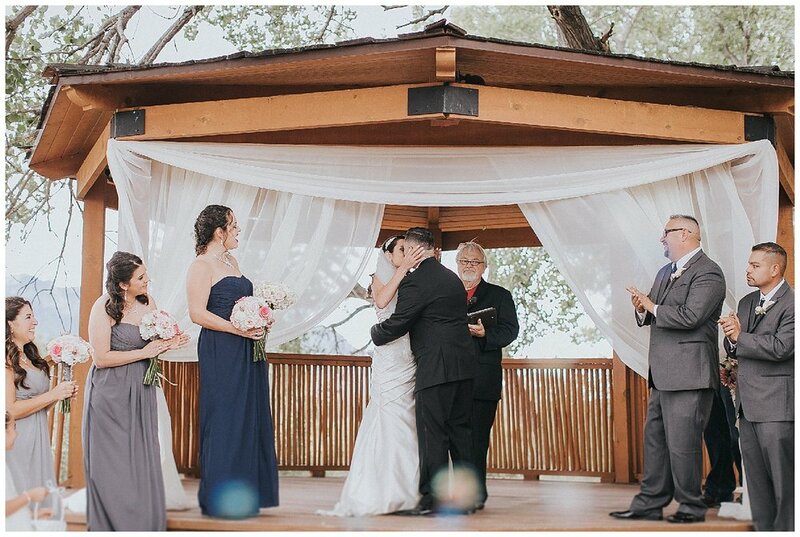 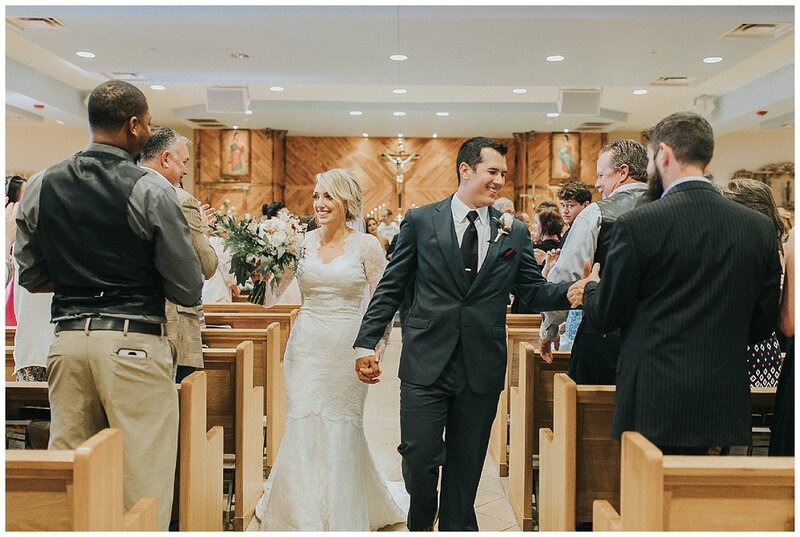 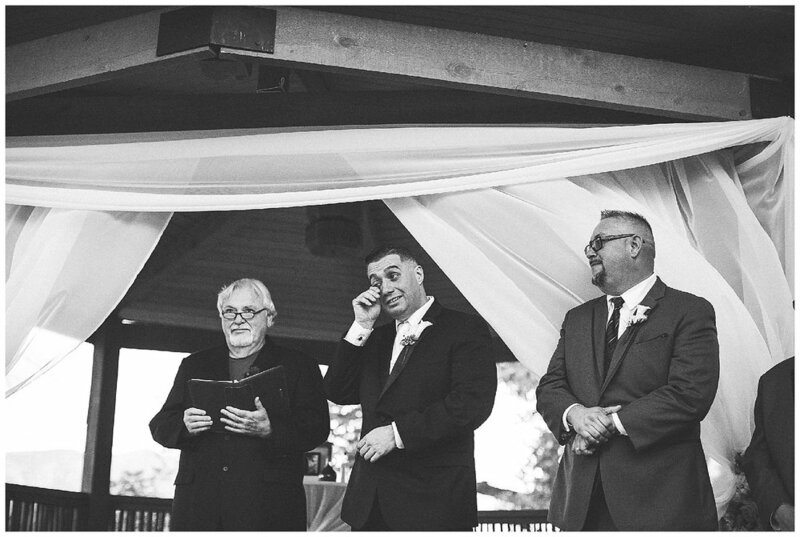 After exchanging their vows at the Immaculate Conception in Tome, NM this couple took their party to Isleta Resort and Casino to celebrate their new life together. 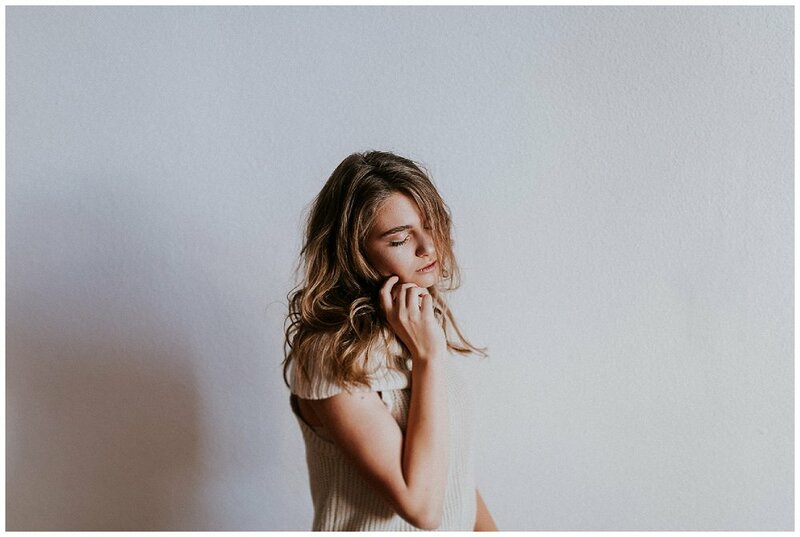 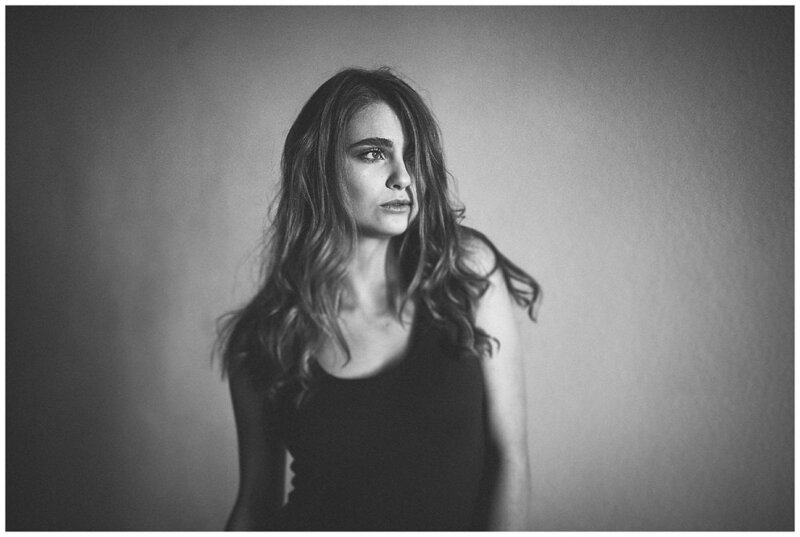 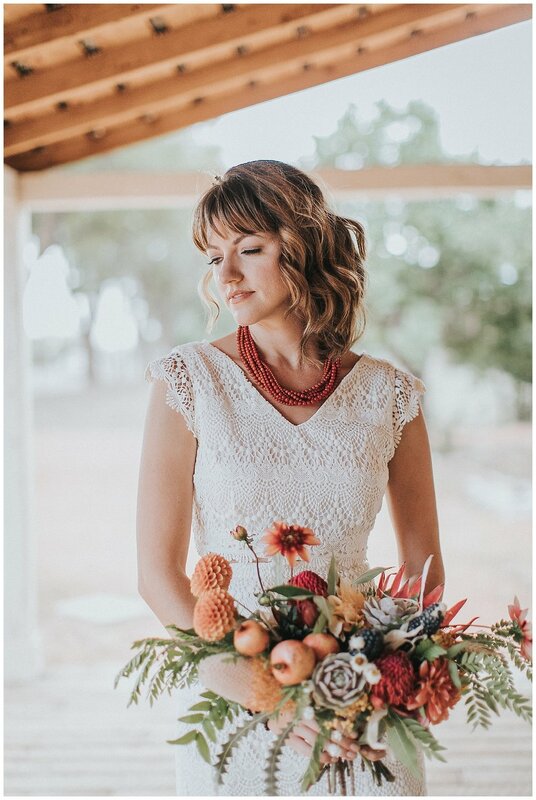 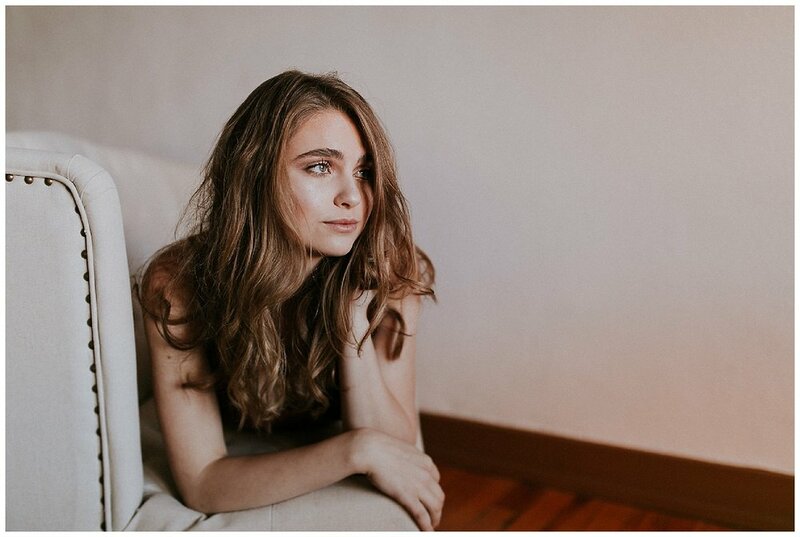 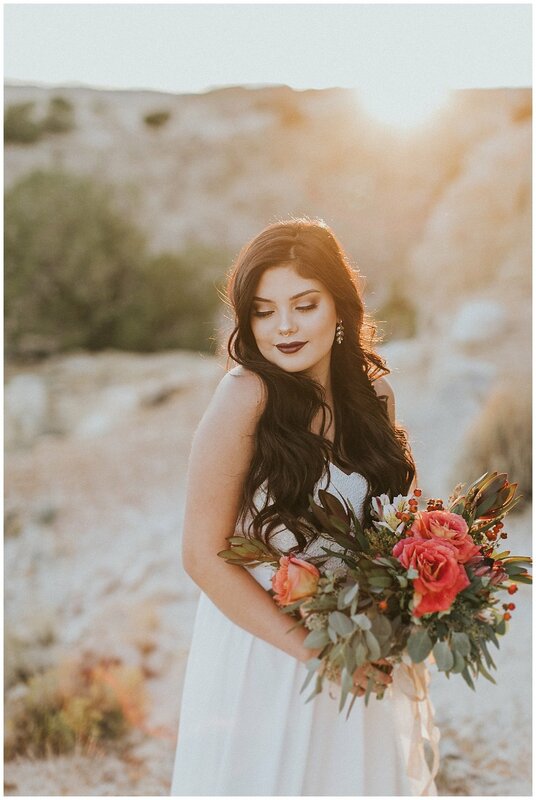 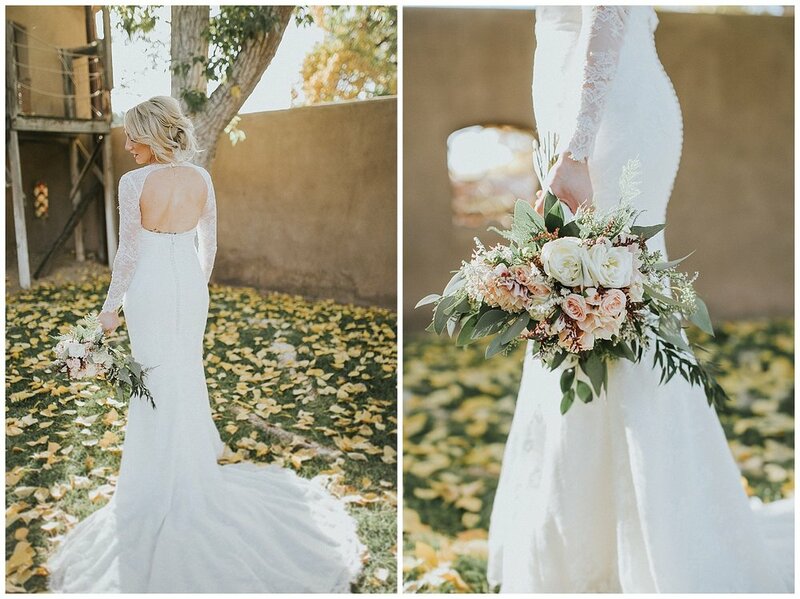 There's nothing quite like a bridal shoot in the dreamy, mountainous southwest. 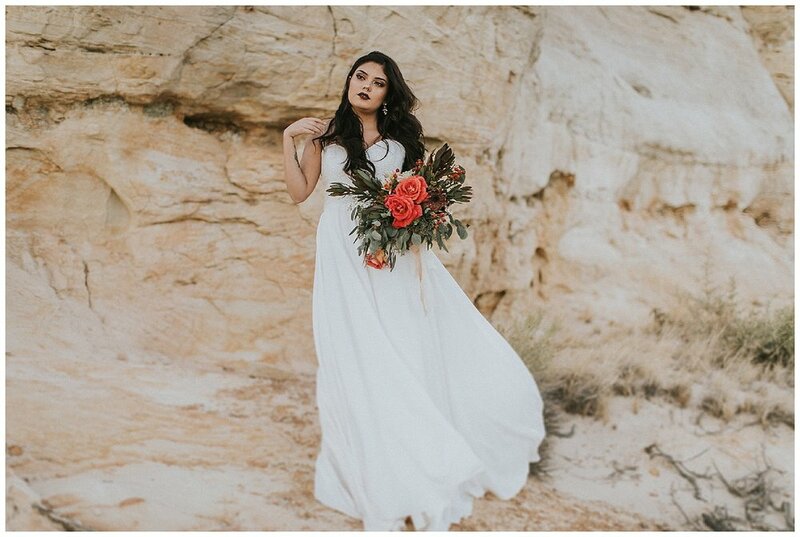 We explored the desert wilderness with Prima for a bridal session that was beyond ethereal. 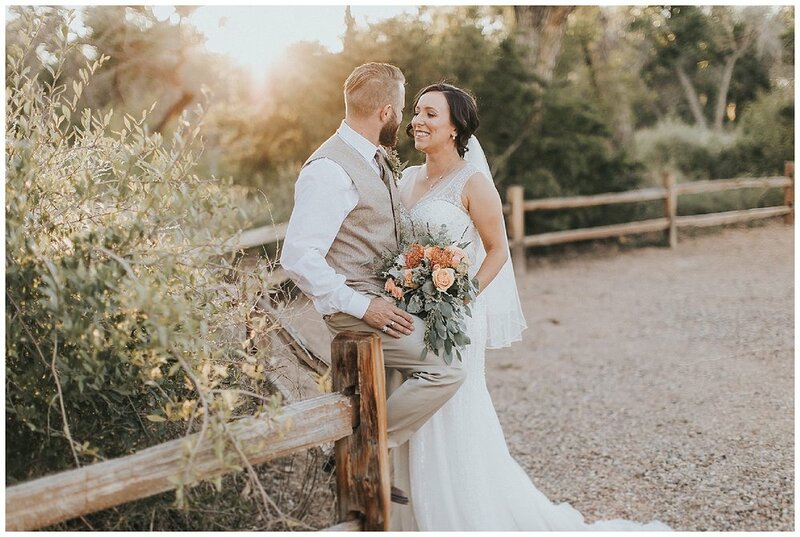 On a gorgeous day at the Hyatt RegencyTamaya Resort in New Mexico, surrounded by family and friend, Kyle and Katie said "I do". 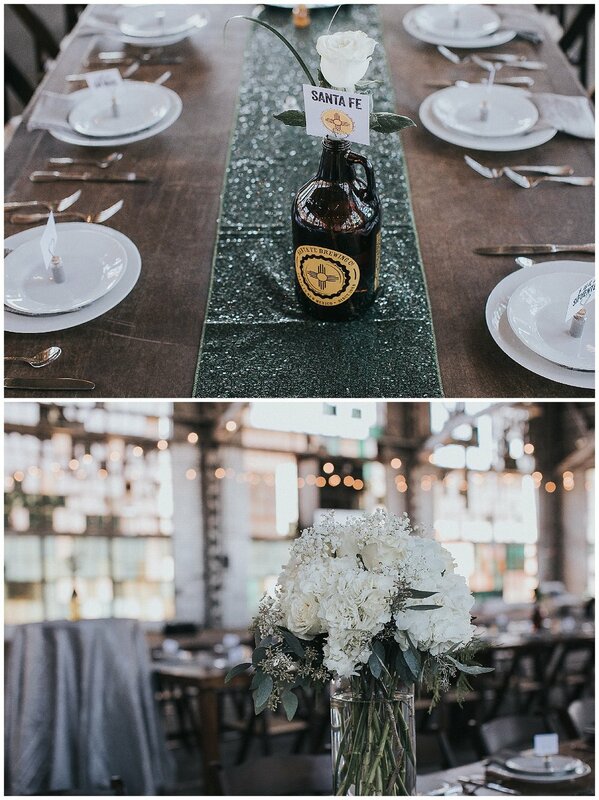 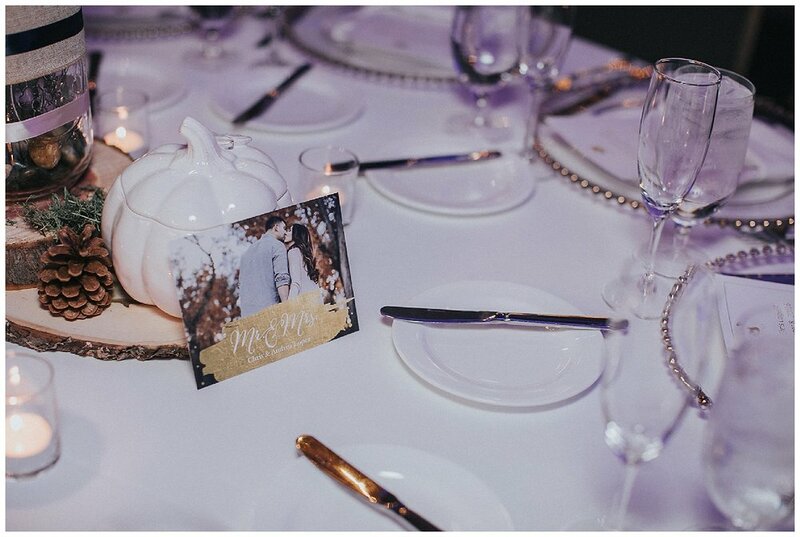 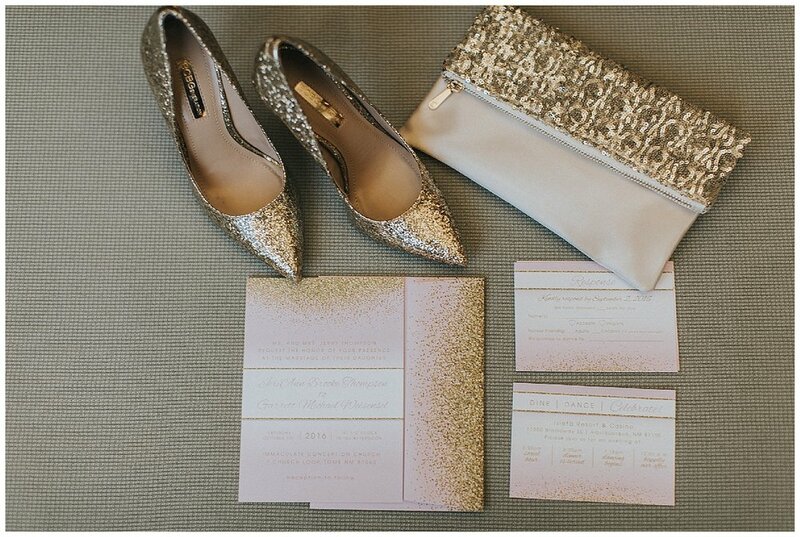 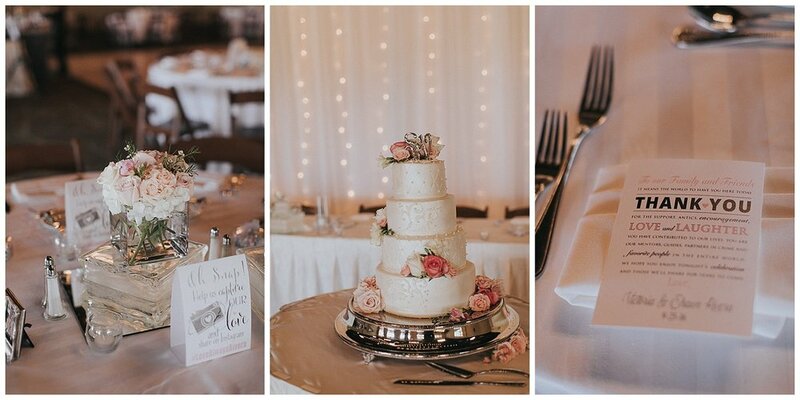 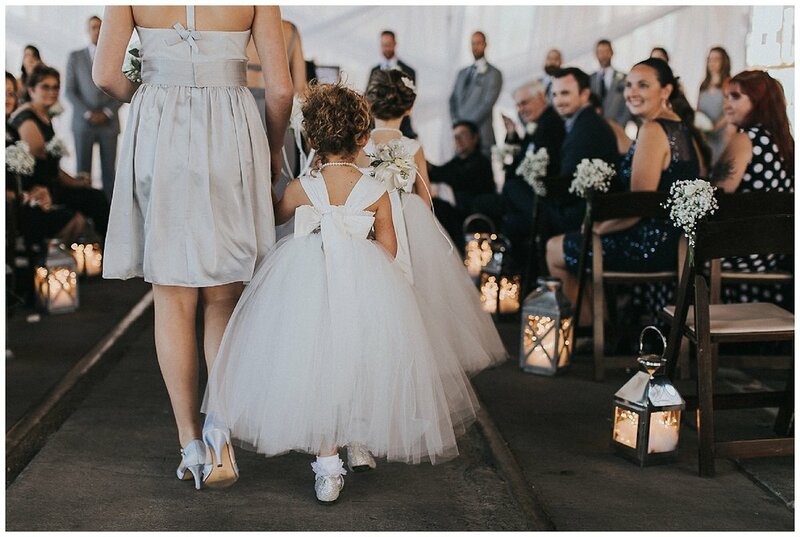 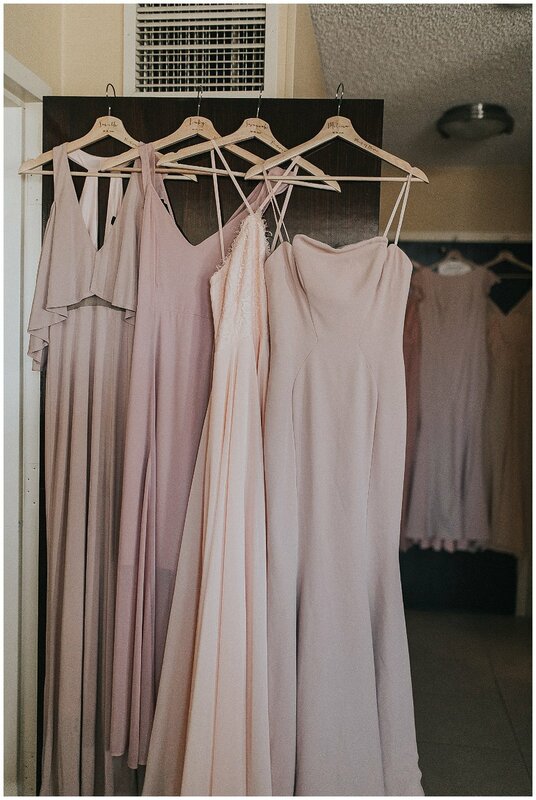 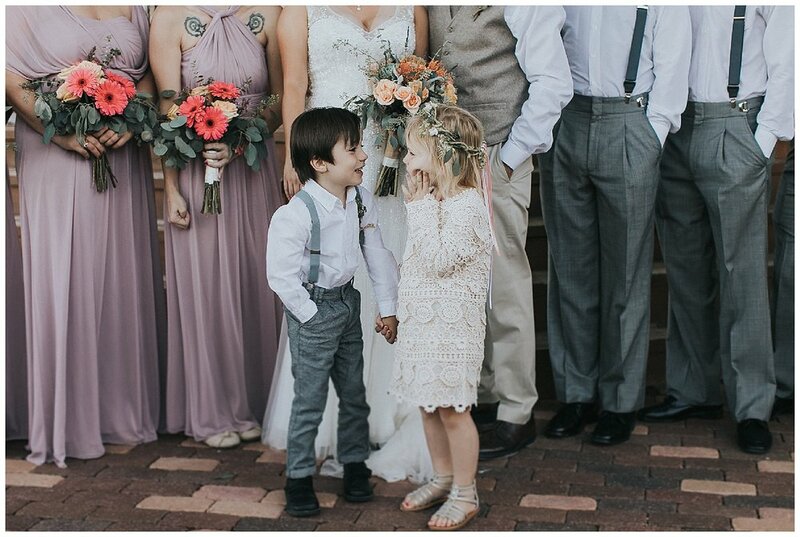 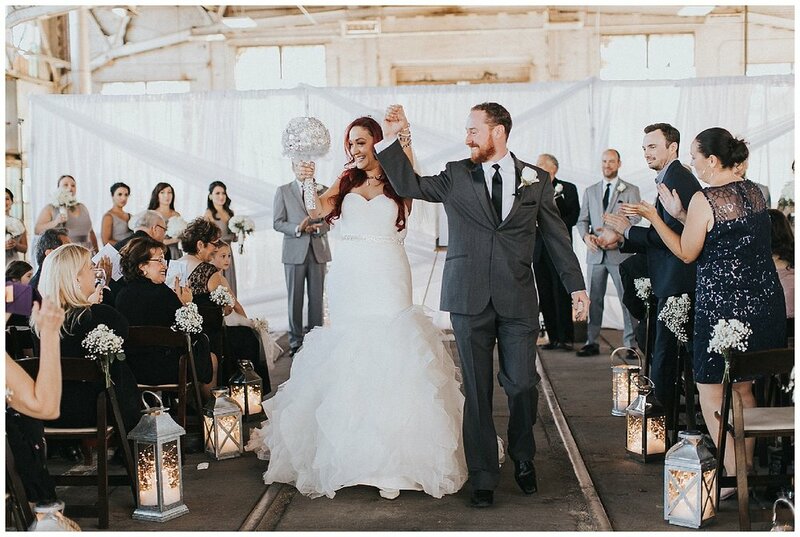 Amid simple details and an earth toned color palette, this couple's wedding was nothing short of pure magic. 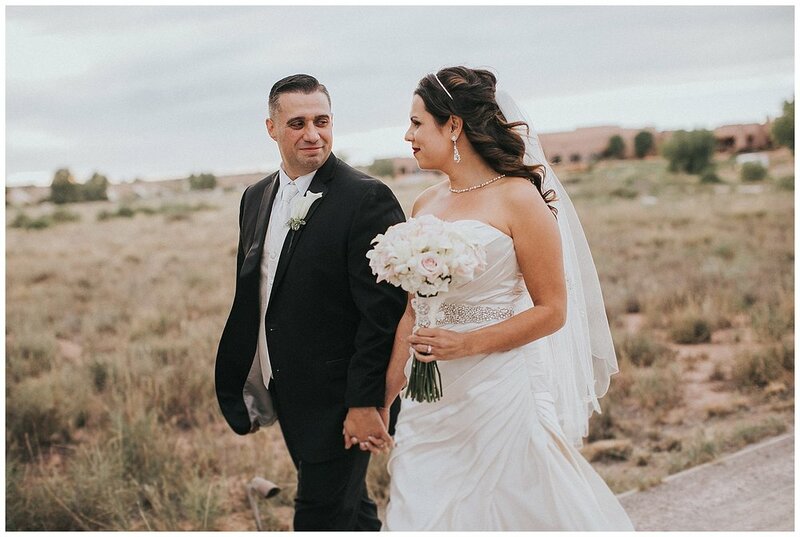 On a calm fall day, Shawn and Victoria were married at Tamaya Resort & Spa on the expansive Santa Ana Pueblo. 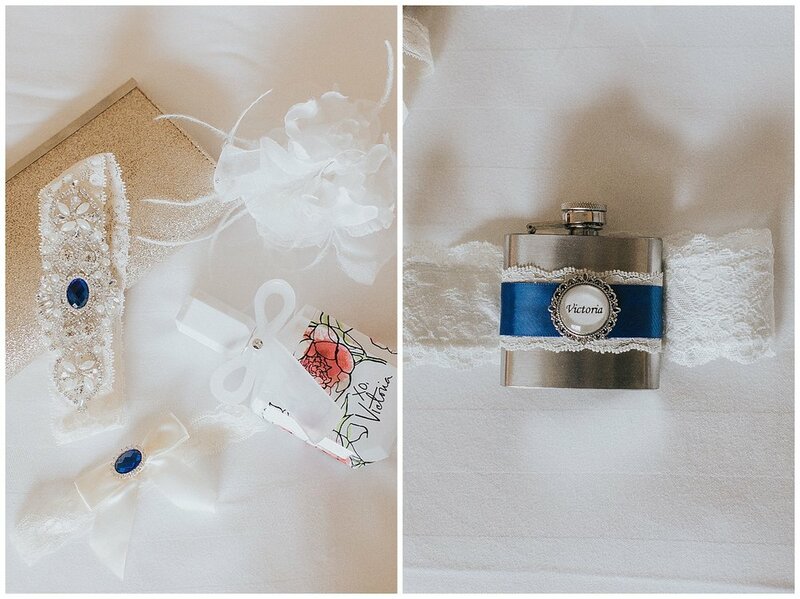 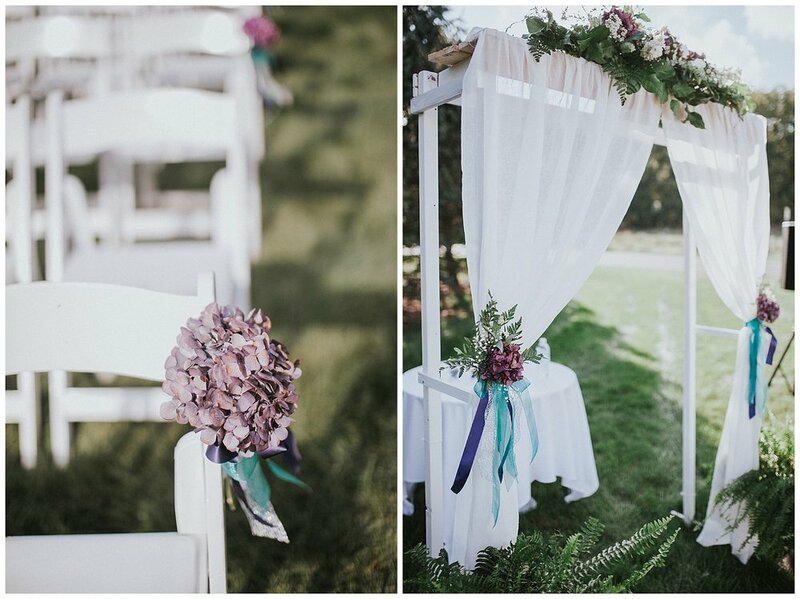 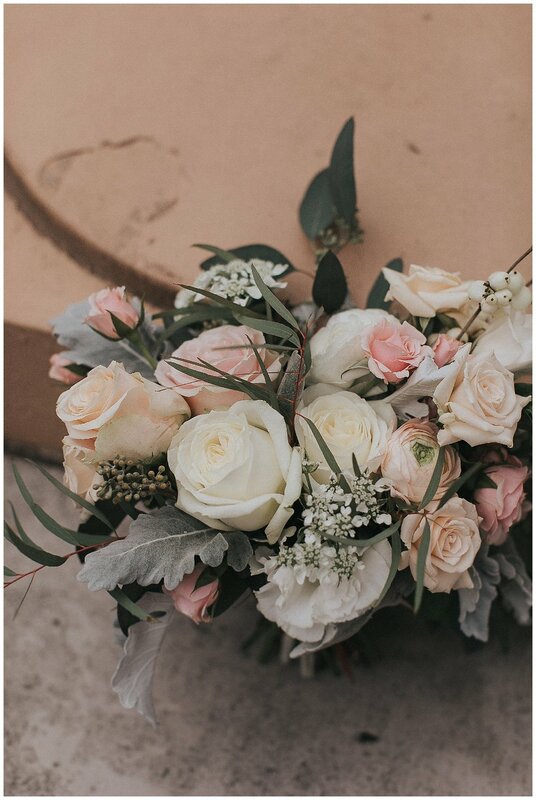 Filled with soft florals, a horse drawn carriage, and hints of sapphire, this September wedding was a day to remember. 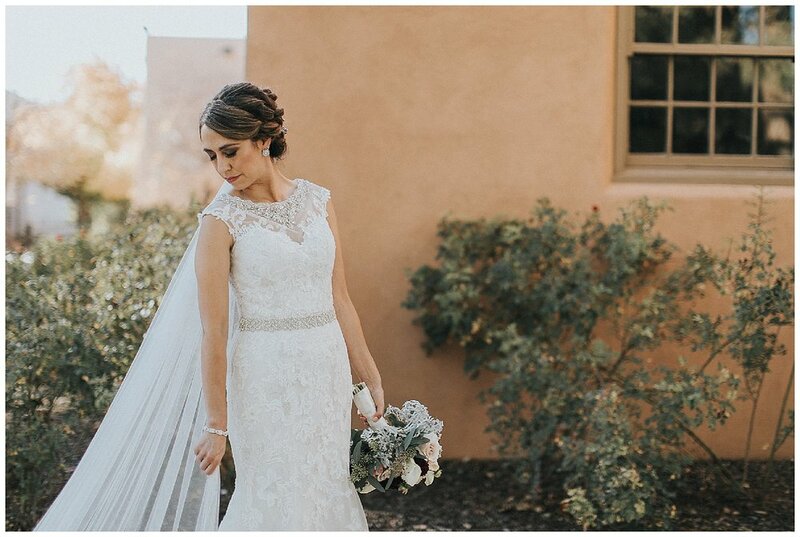 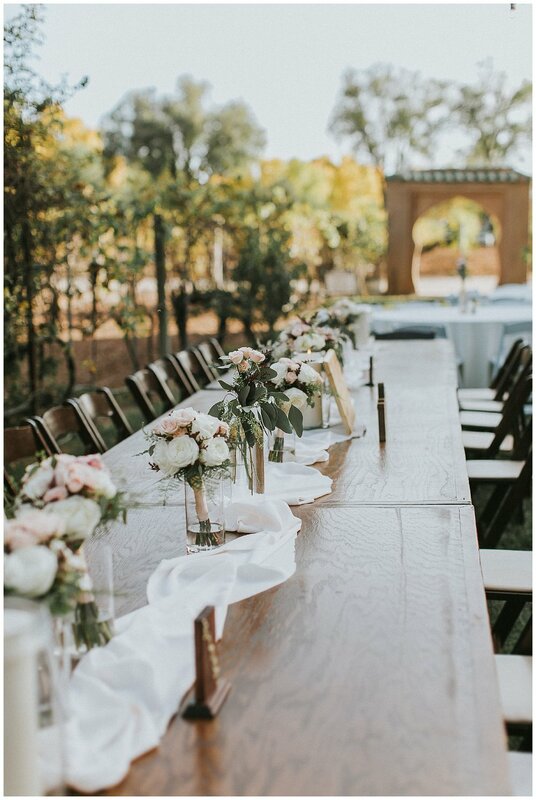 Thommy and Kathryn were married at the Gutierrez-Hubbell House in Albuquerque's South Valley with a truly south western inspired wedding. 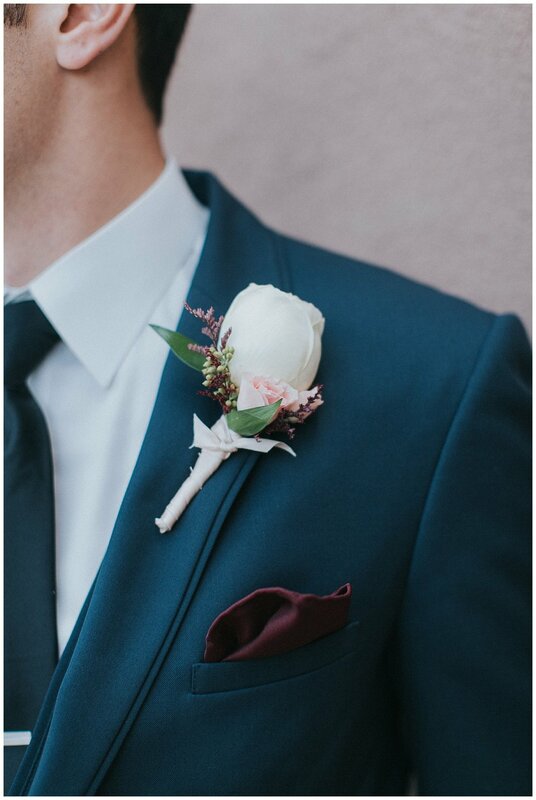 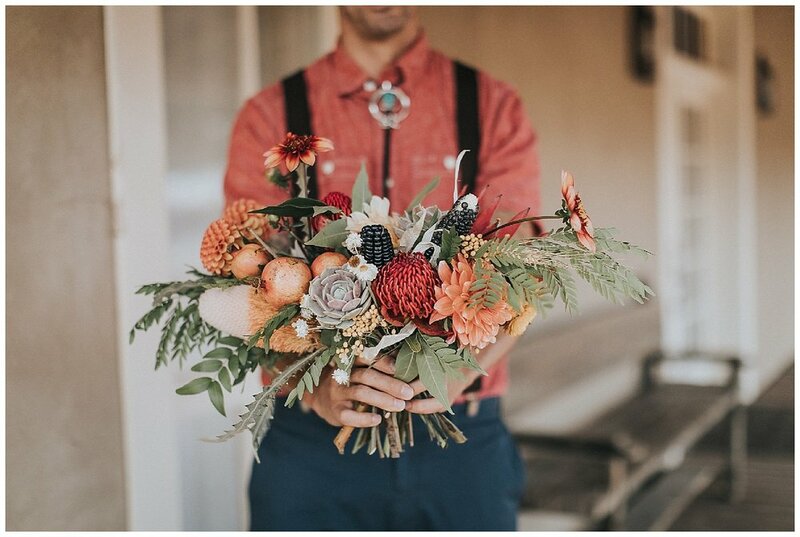 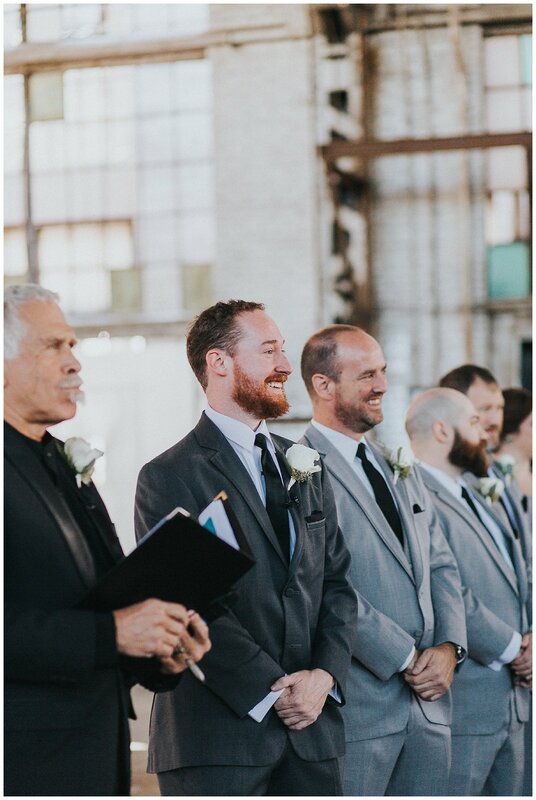 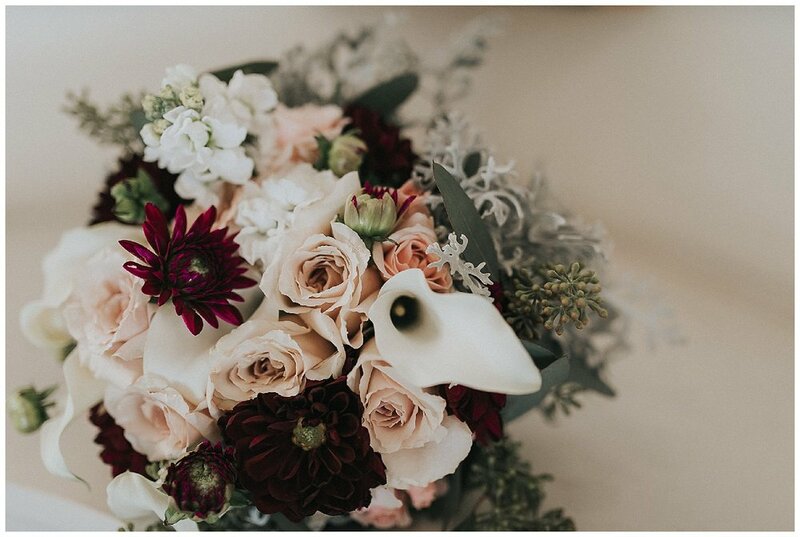 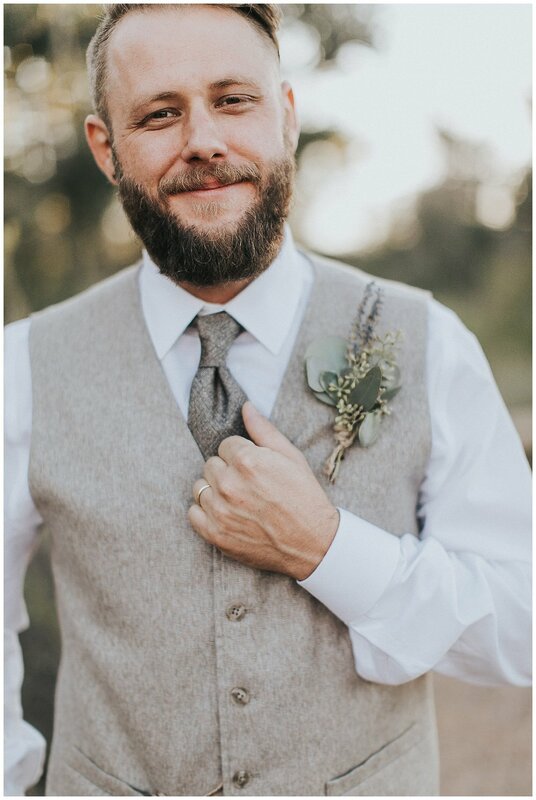 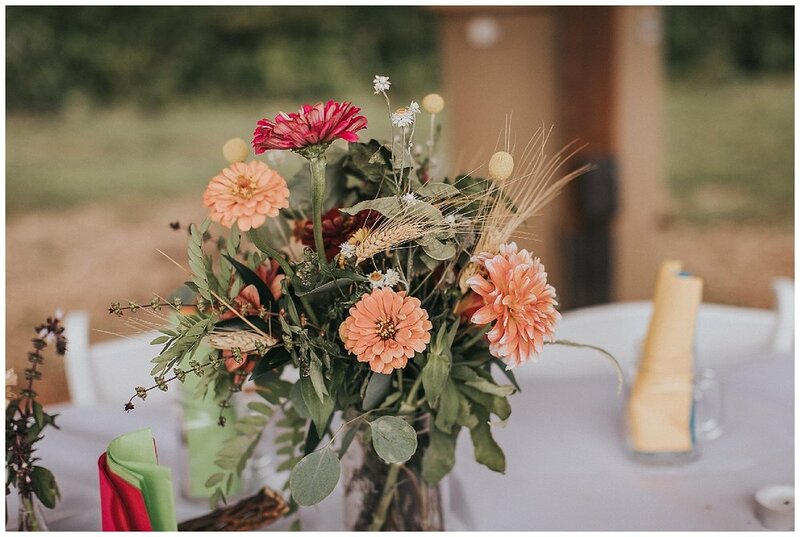 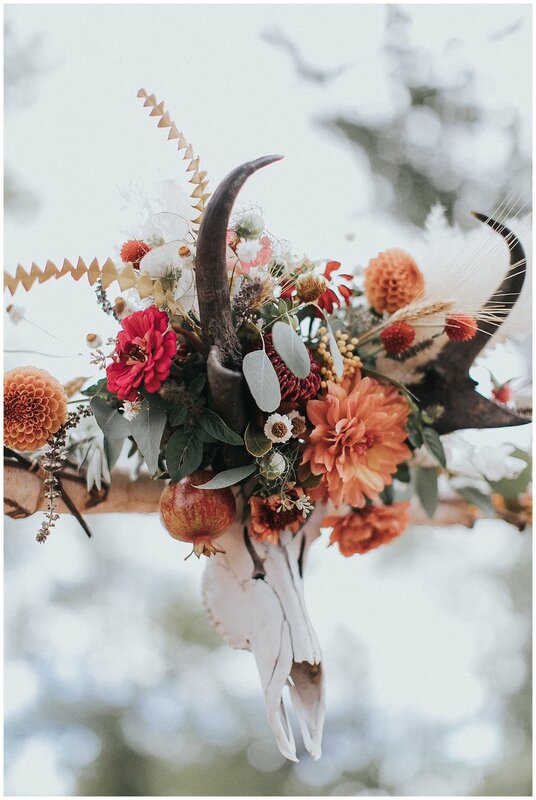 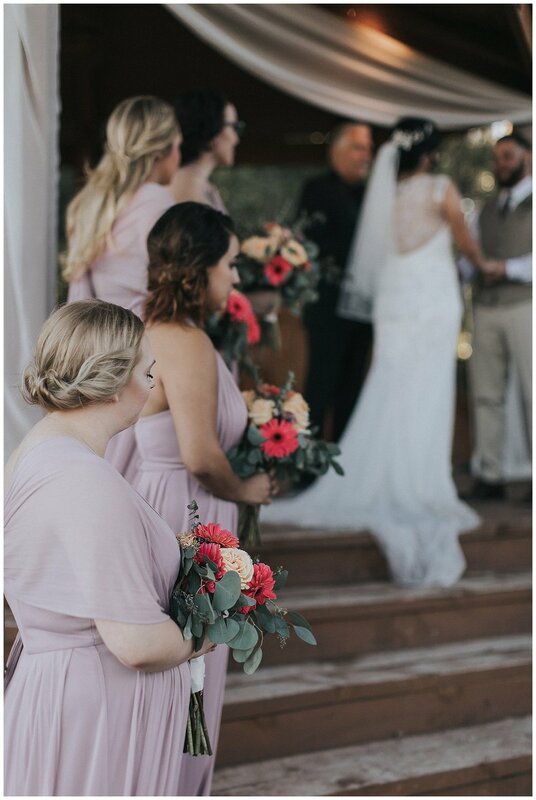 Their intimate ceremony and reception showcased everything from turquoise rings to casual groomsmen attire with bolo ties to a longhorn skull bedecked with gorgeous florals. 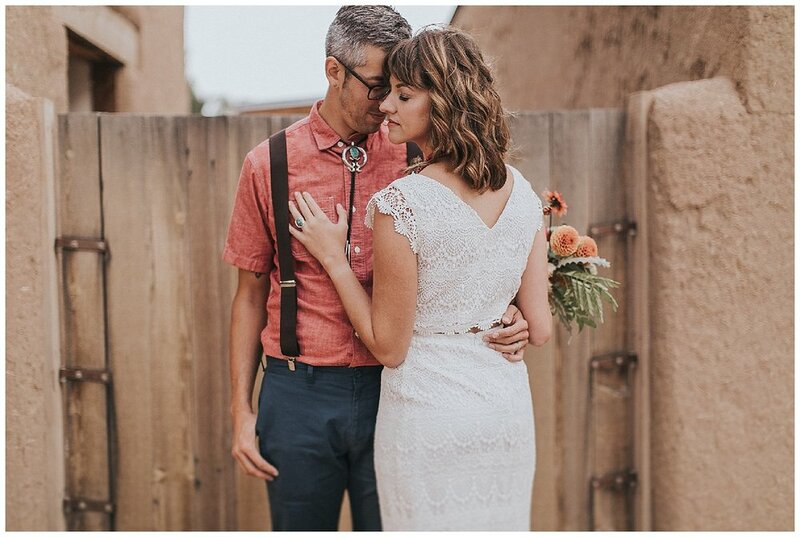 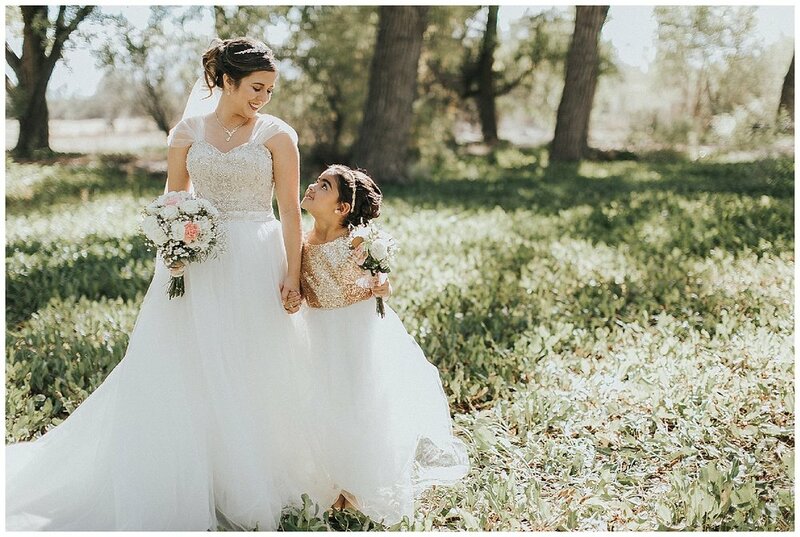 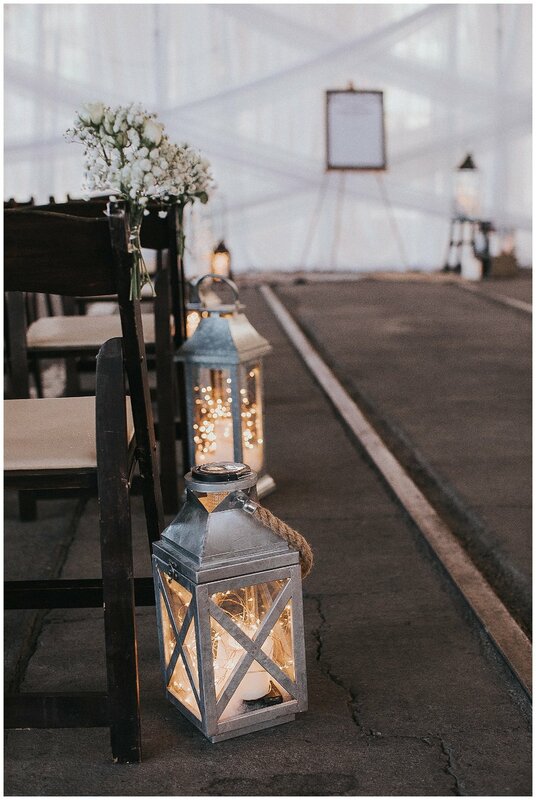 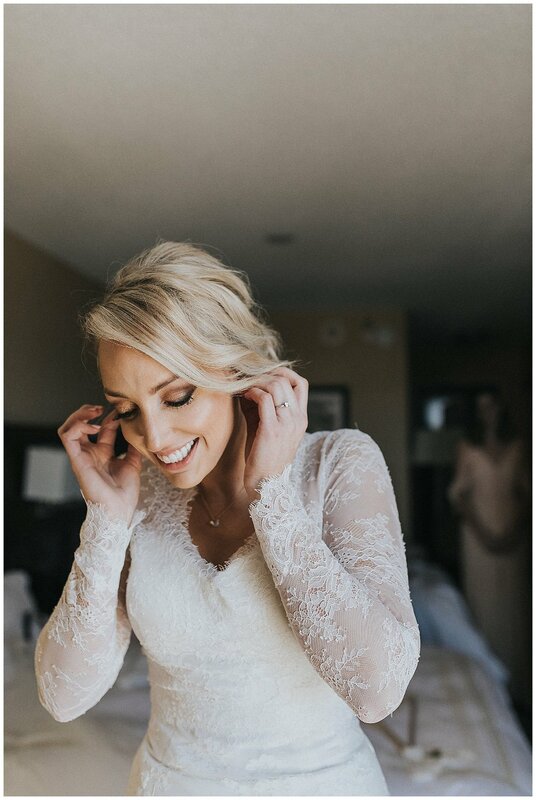 This wedding was recently featured on Rocky Mountain Bride, click Thommy and Kathryn's Intimate Wedding to see the post and check out The Knot's national Spring 2018 Issue to see this one representing New Mexico in their 50 weddings 50 States series. 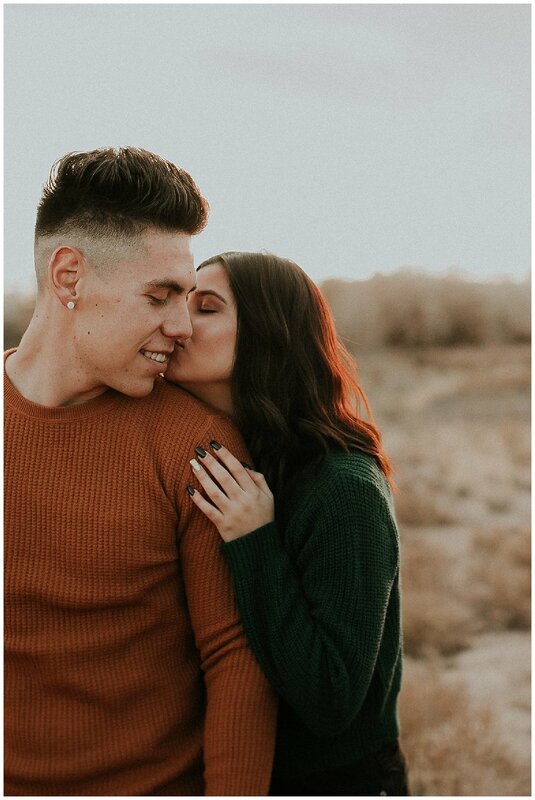 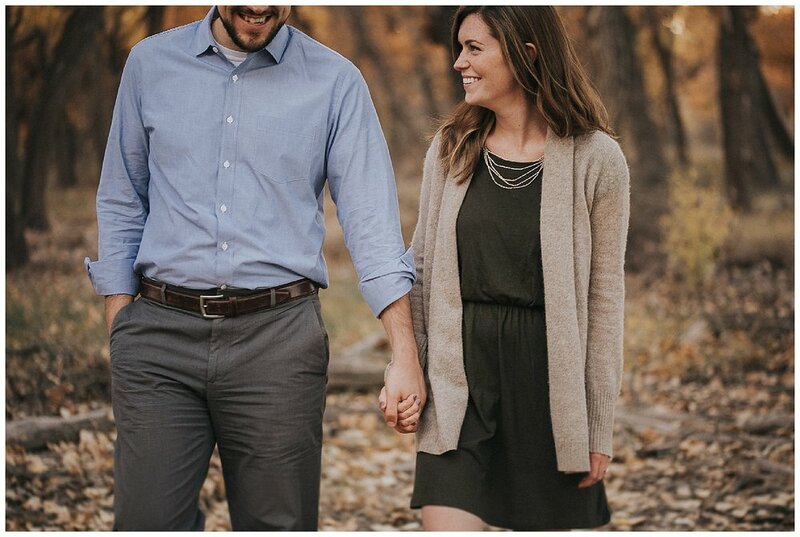 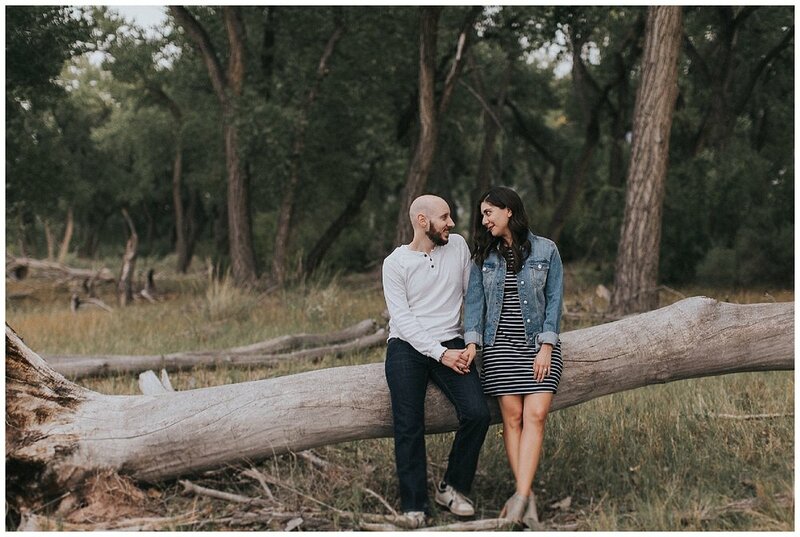 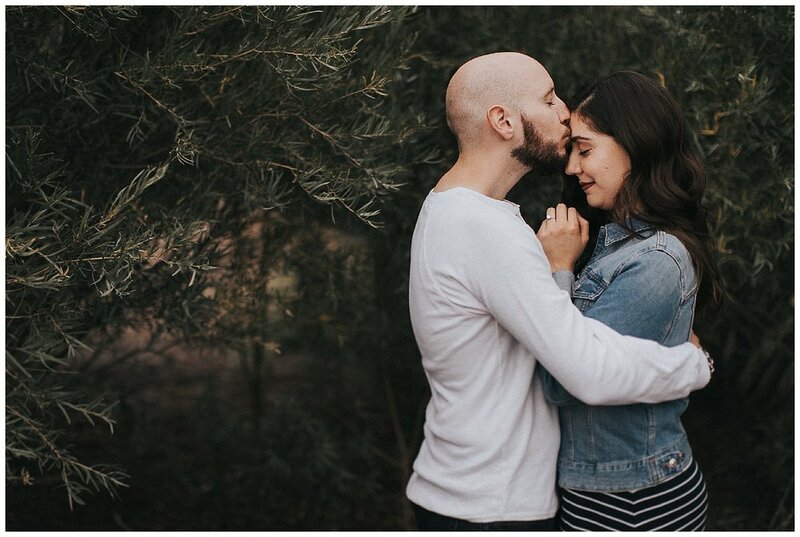 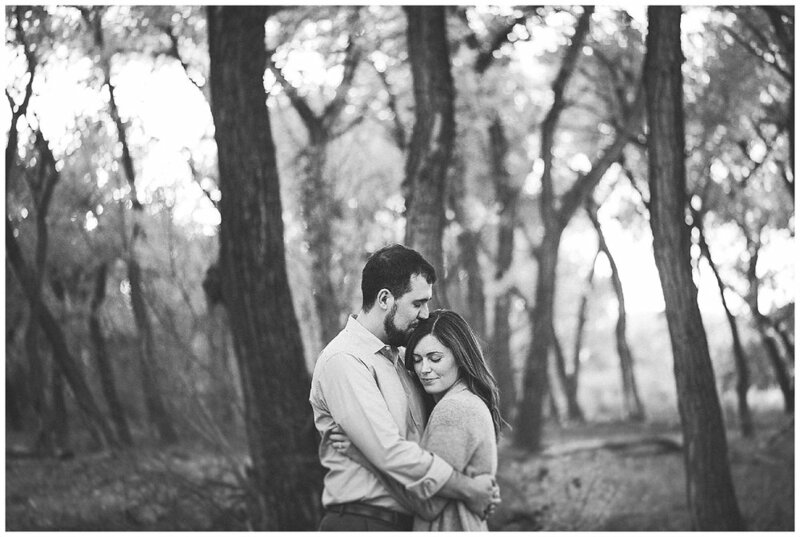 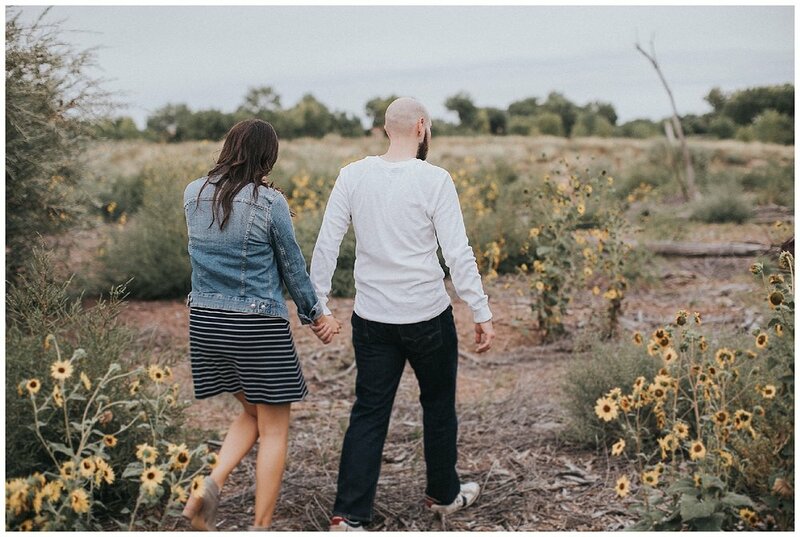 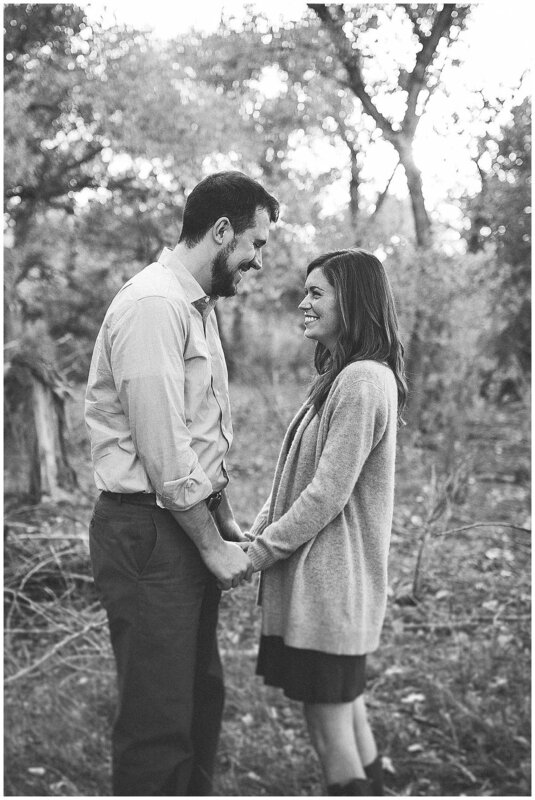 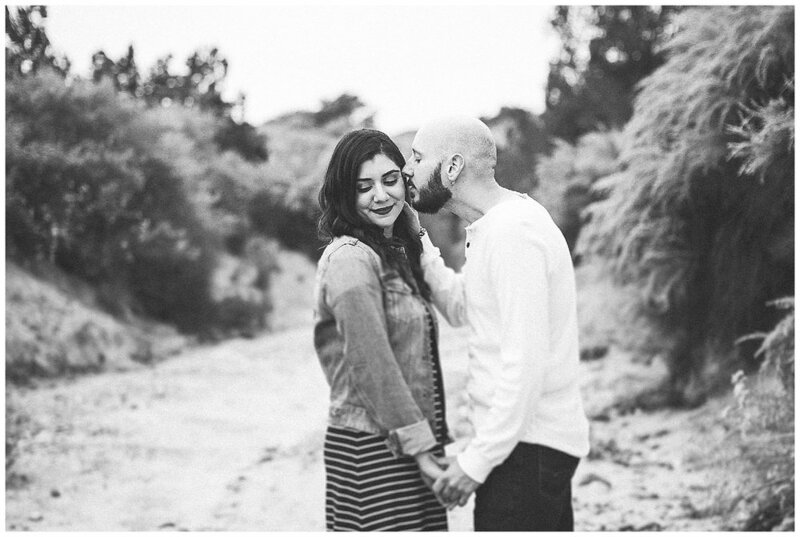 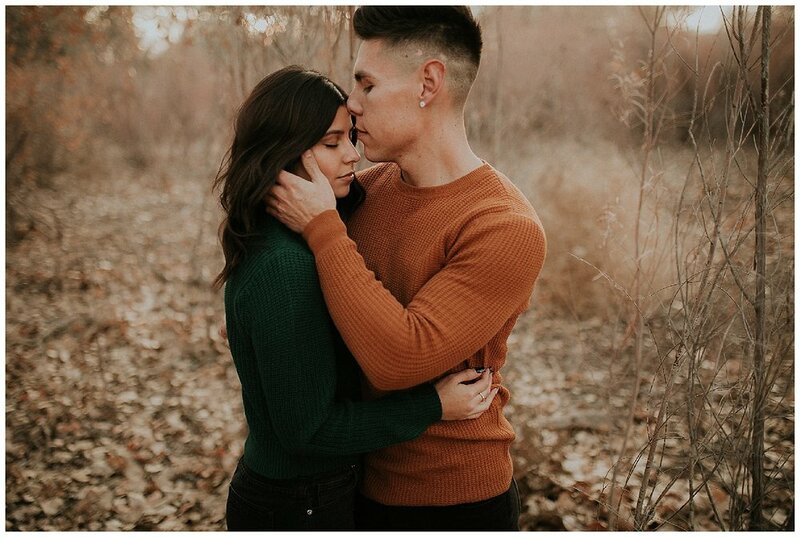 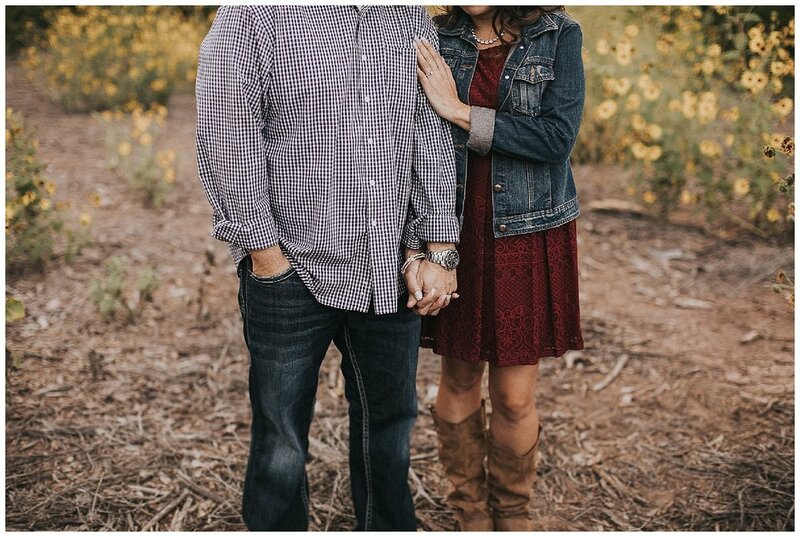 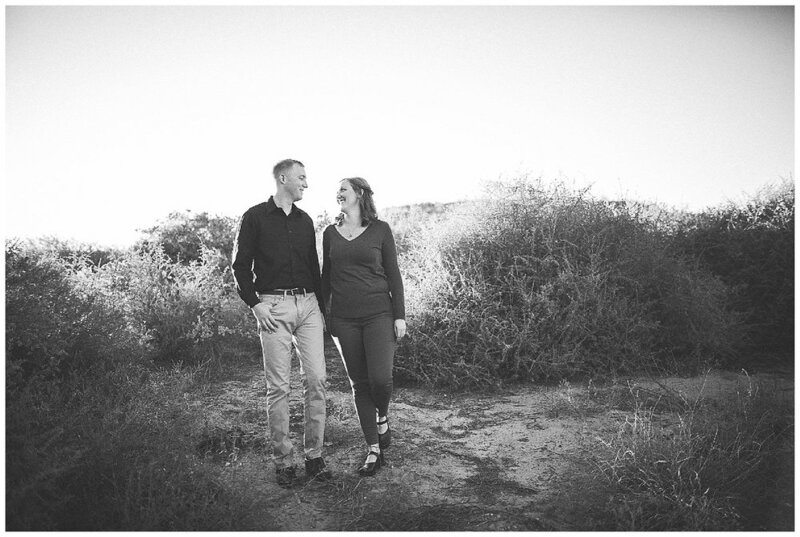 We had an amazing time in the bosque capturing the subtle romance of these two lovers. 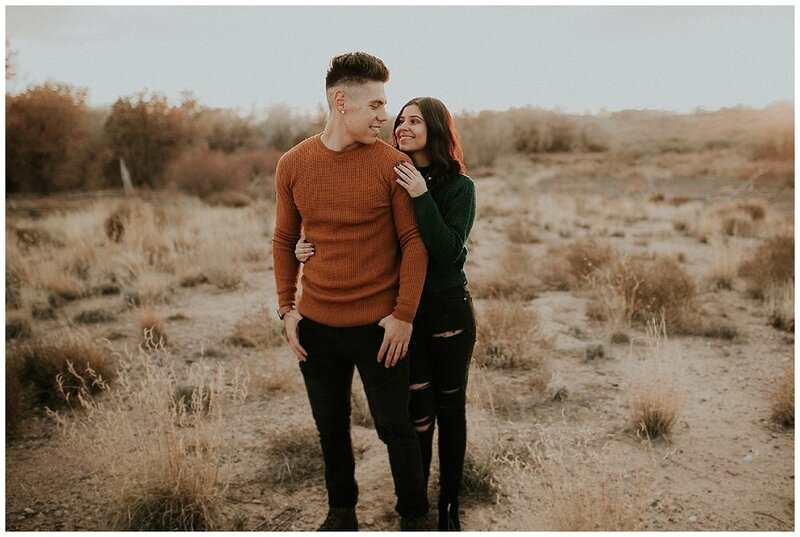 Their wedding will be at Los Poblanos this fall and we honestly can't wait! 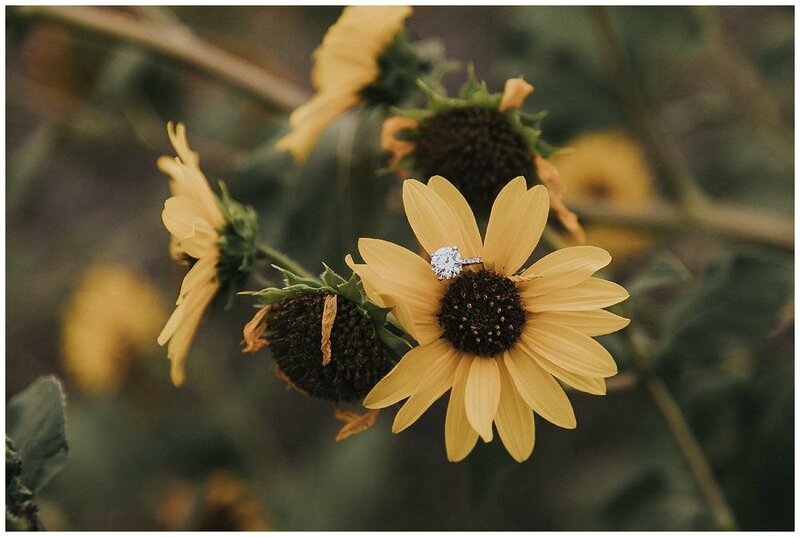 We spent a summer evening outdoors with Shawn and Victoria among the trees and sunflowers to capture just a little piece of their love! 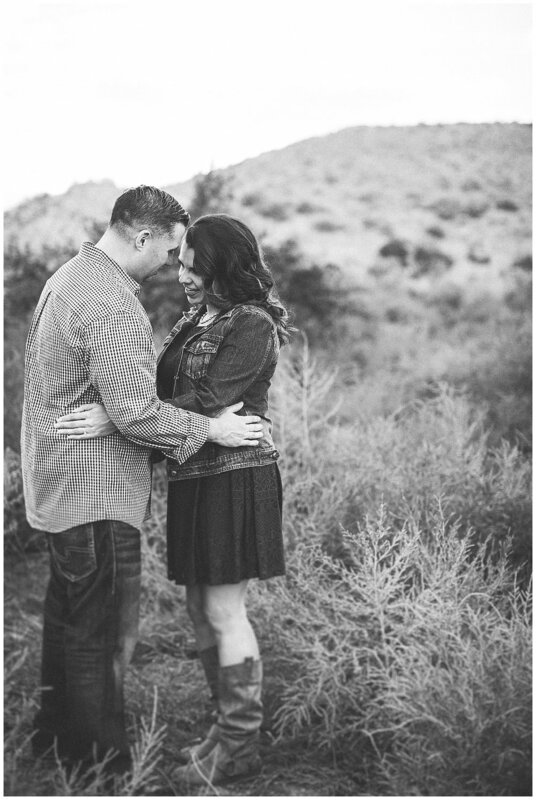 Their wedding will take place September 2016 at Hyatt Tamaya just outside of Albuquerque. 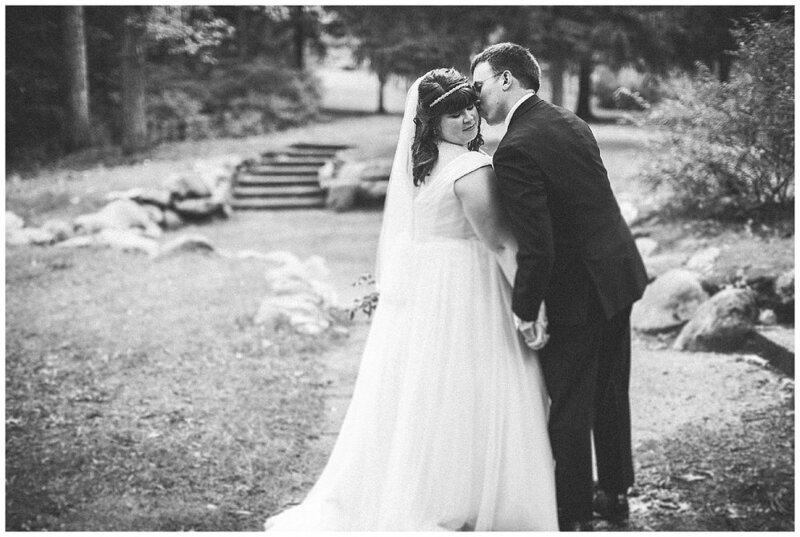 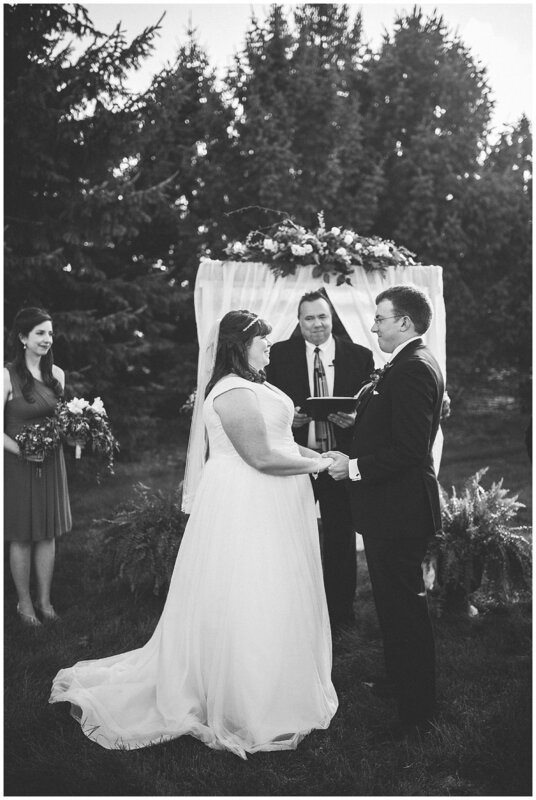 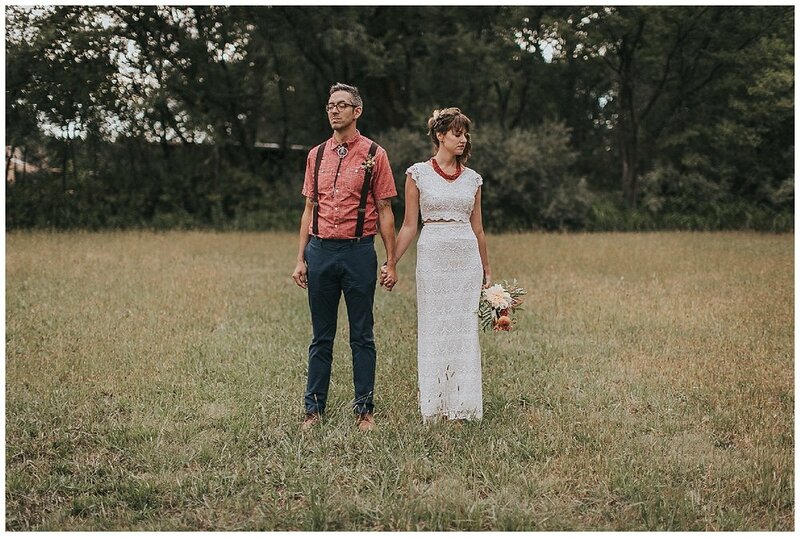 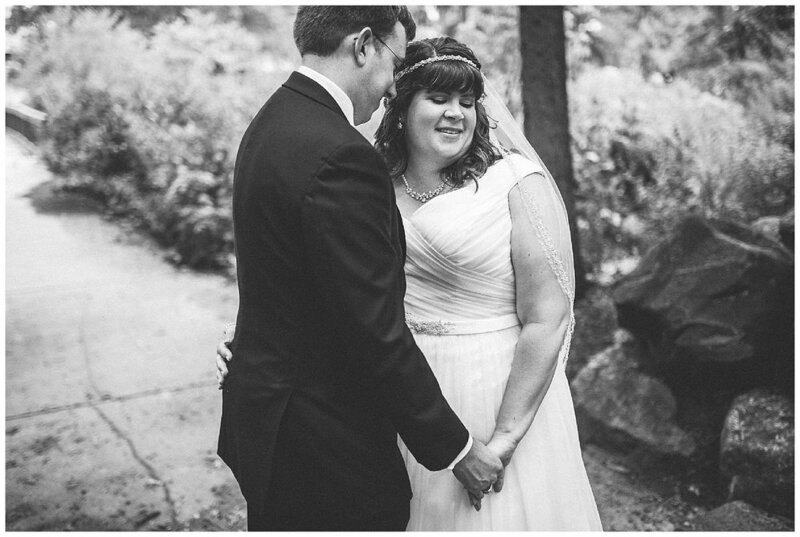 Tim and Lisa, both engineers at Sandia Labs, were married in Michigan surrounded by a forest that was surely out of a fairytale. 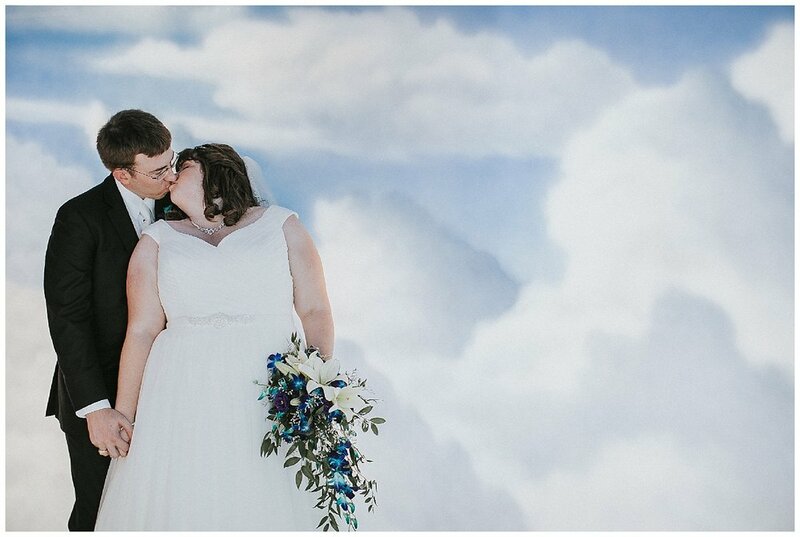 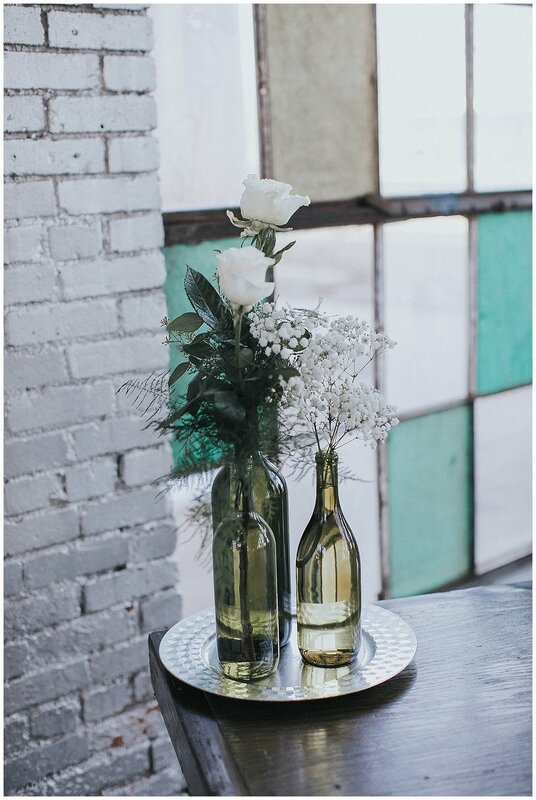 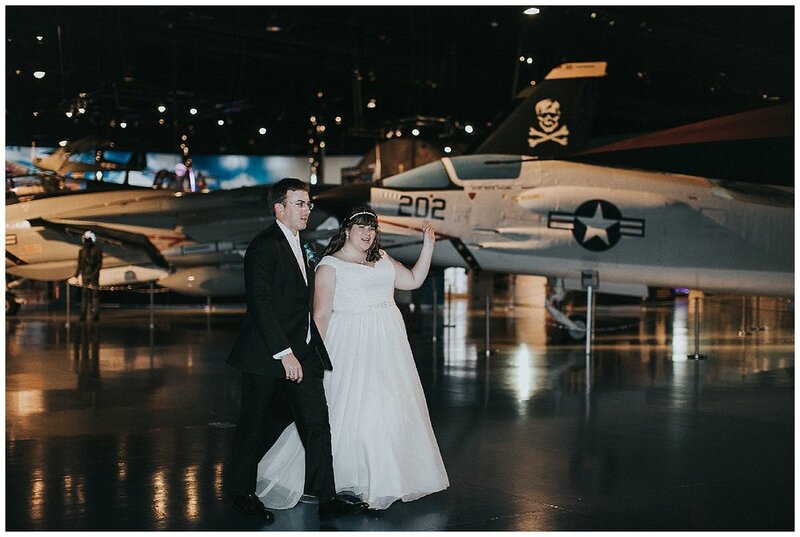 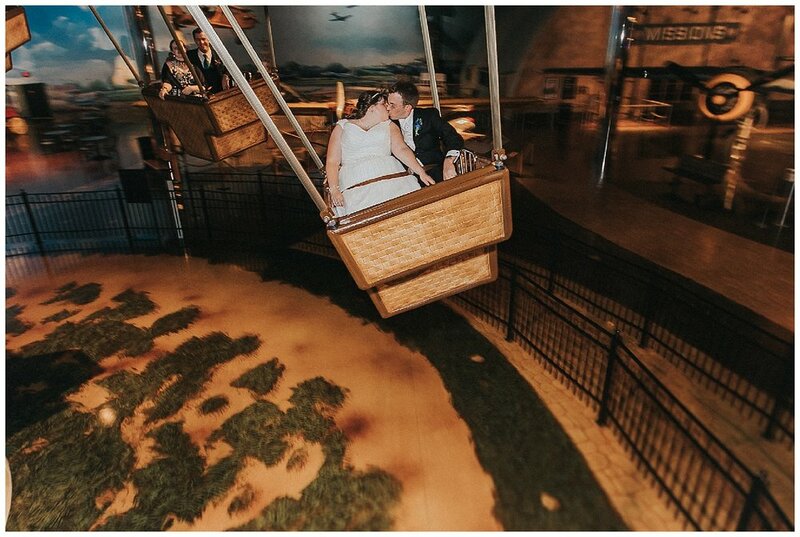 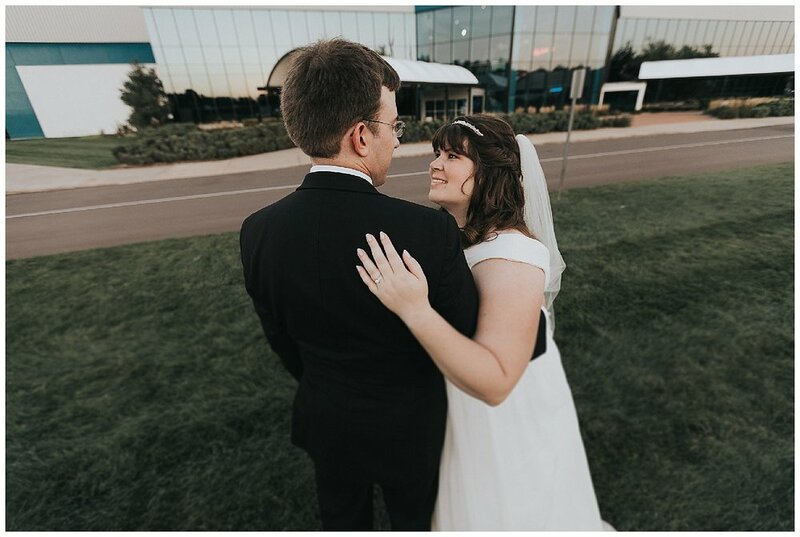 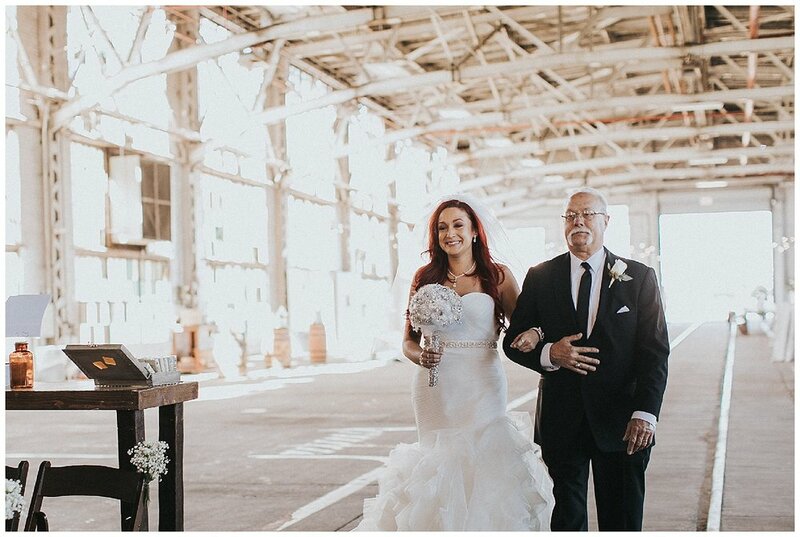 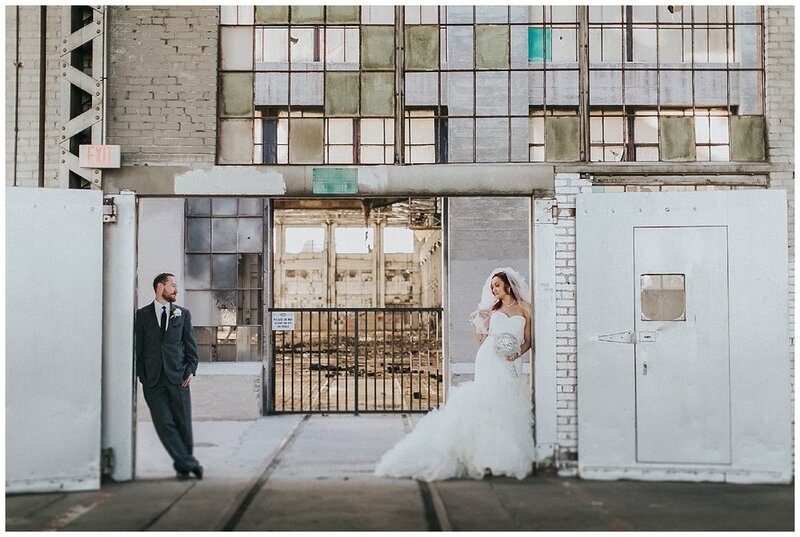 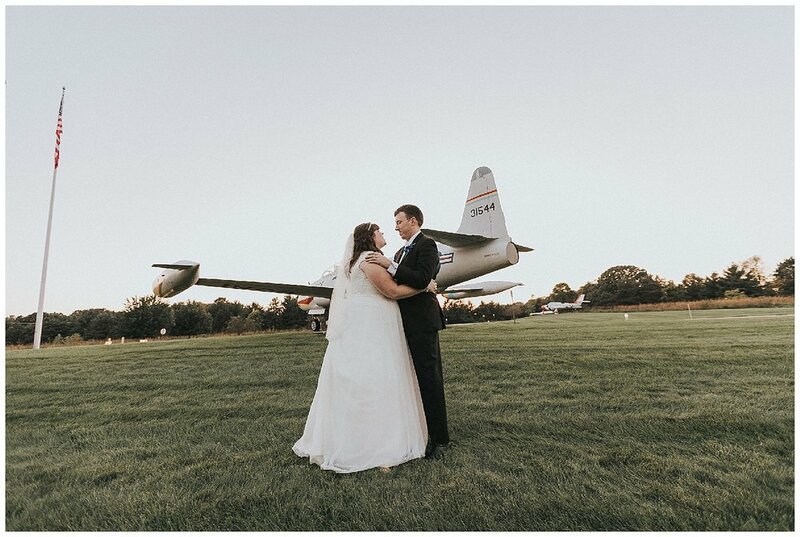 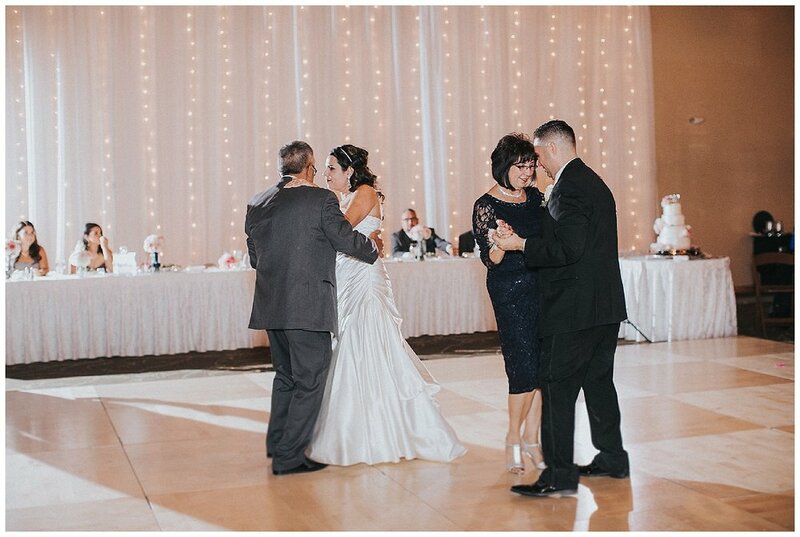 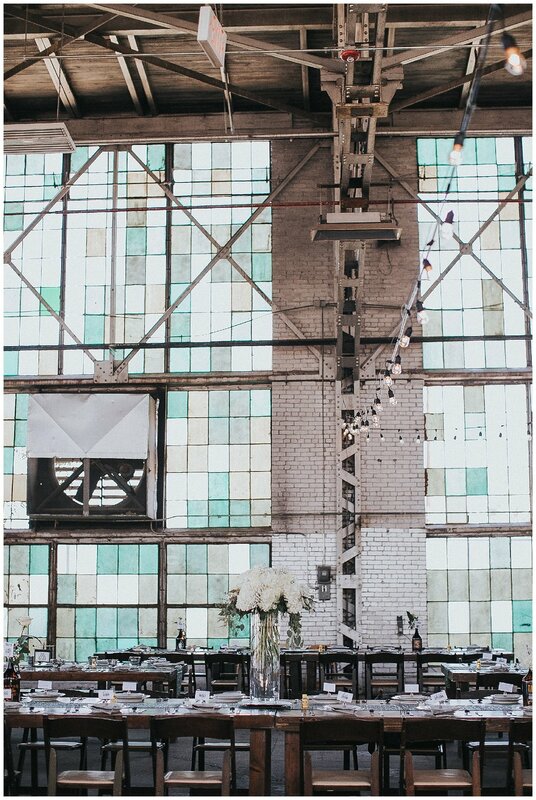 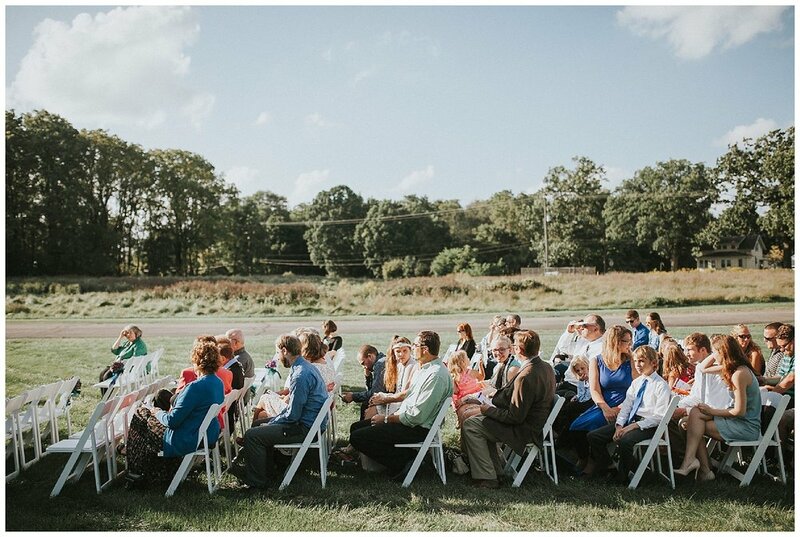 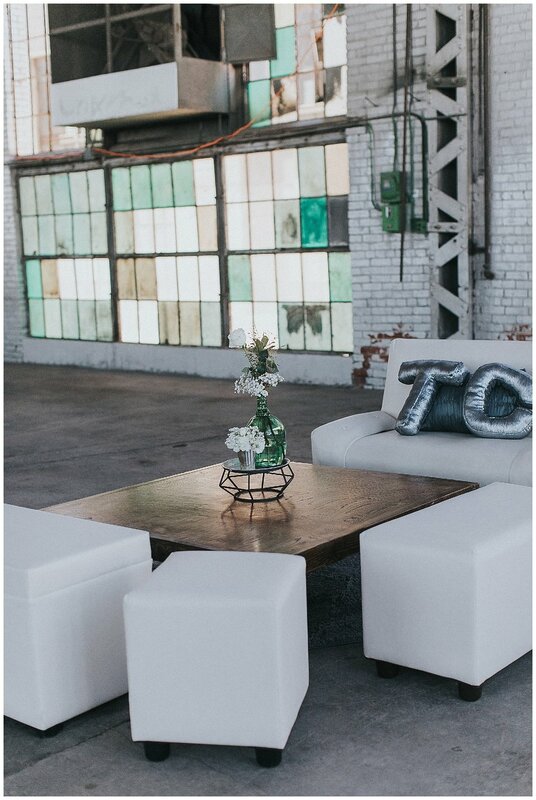 Their reception was held at the Airzoo Aerospace & Science Museum in Portage, Michigan and their night celebrated a love that is truly out of this world.